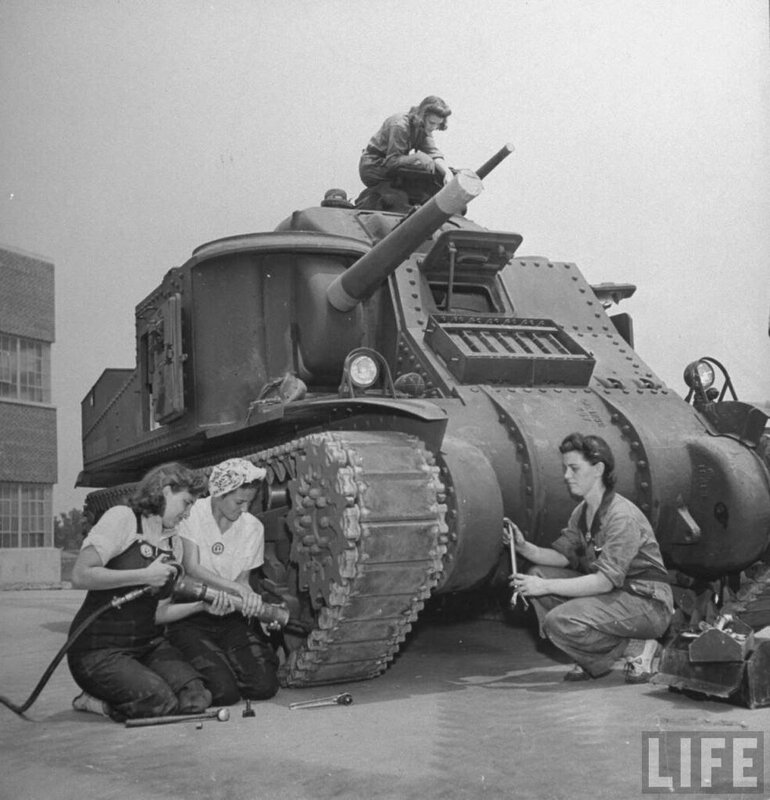 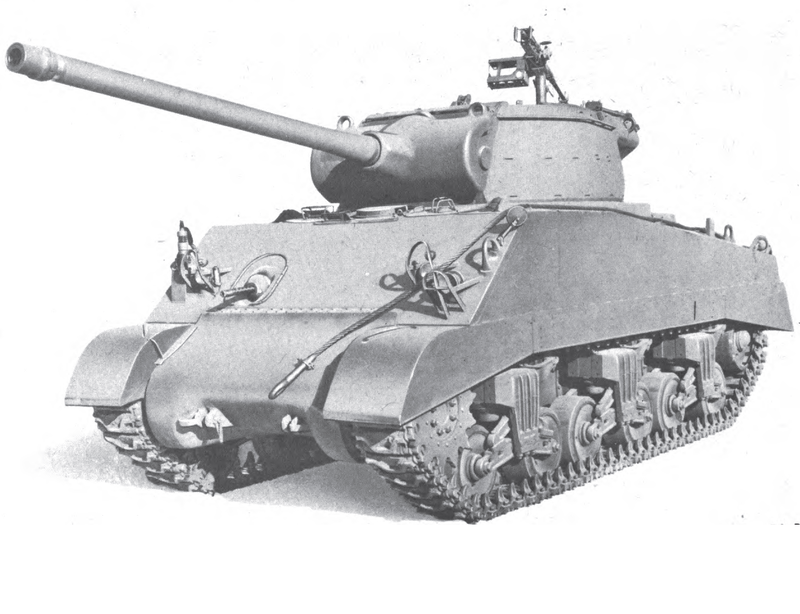 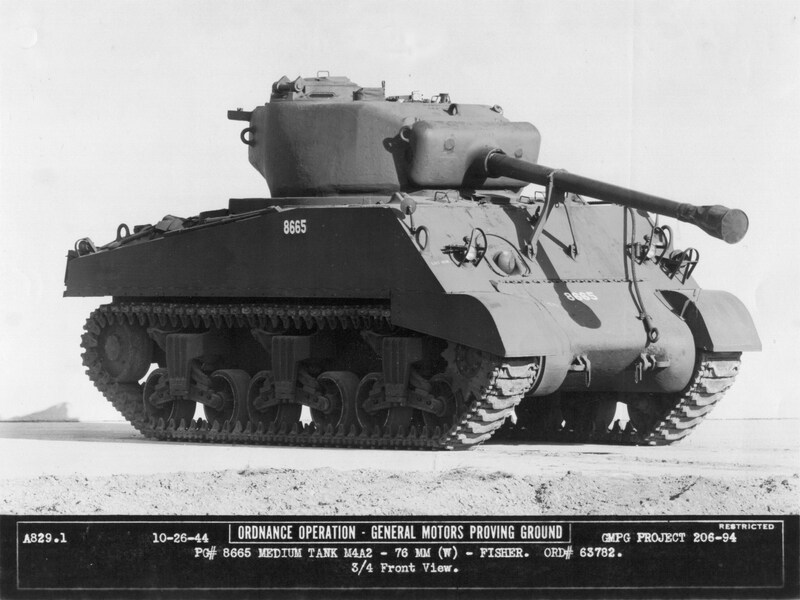 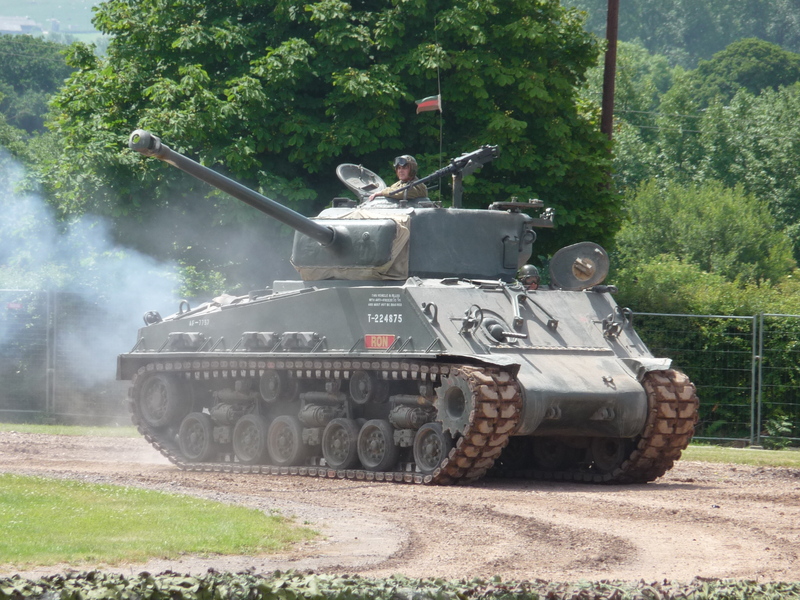 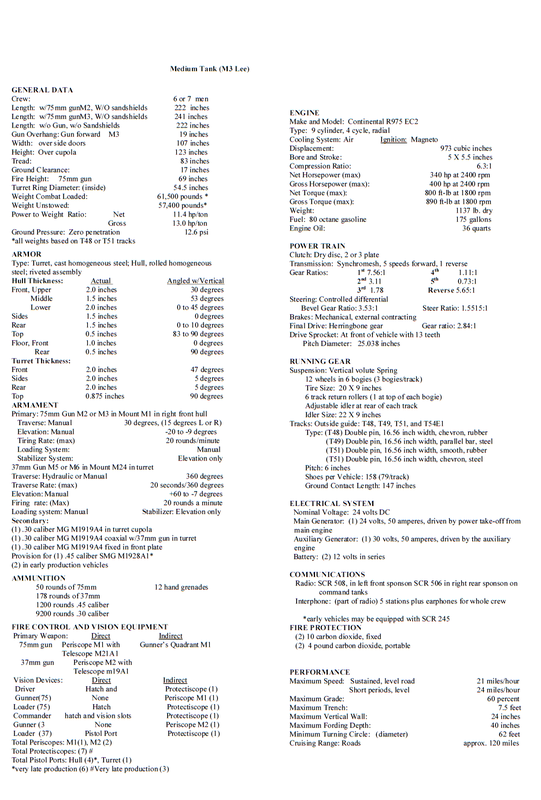 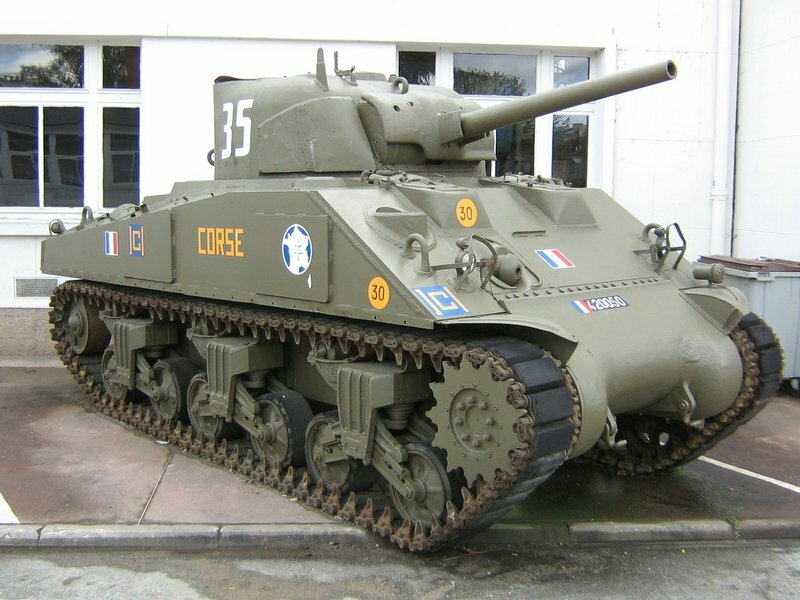 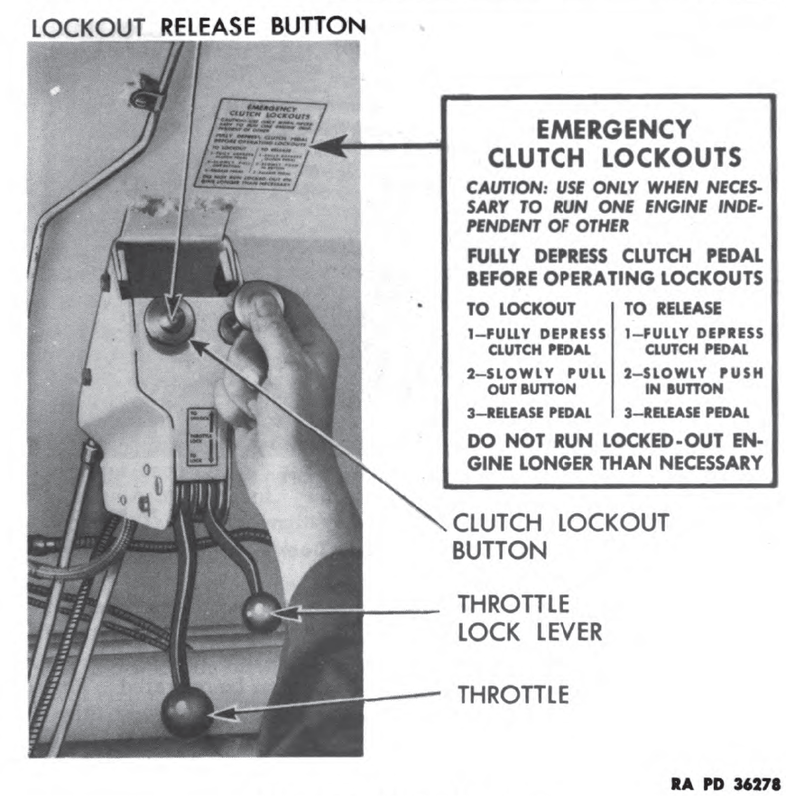 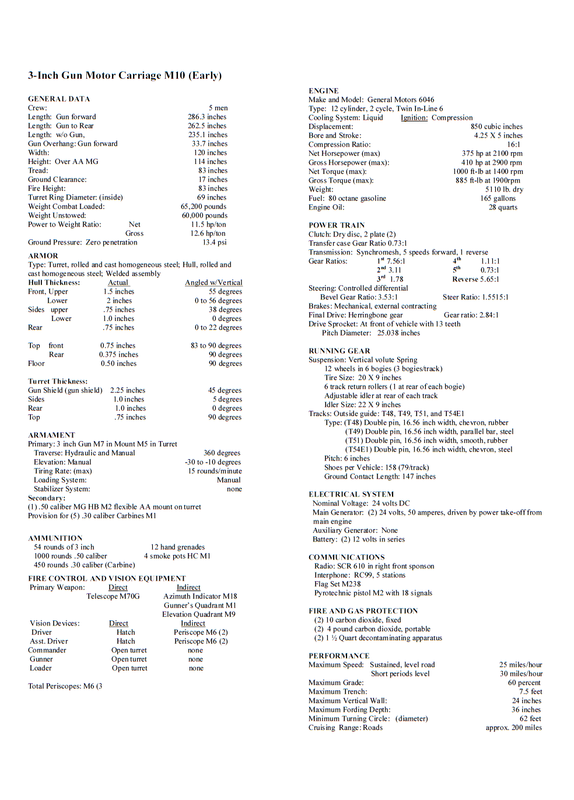 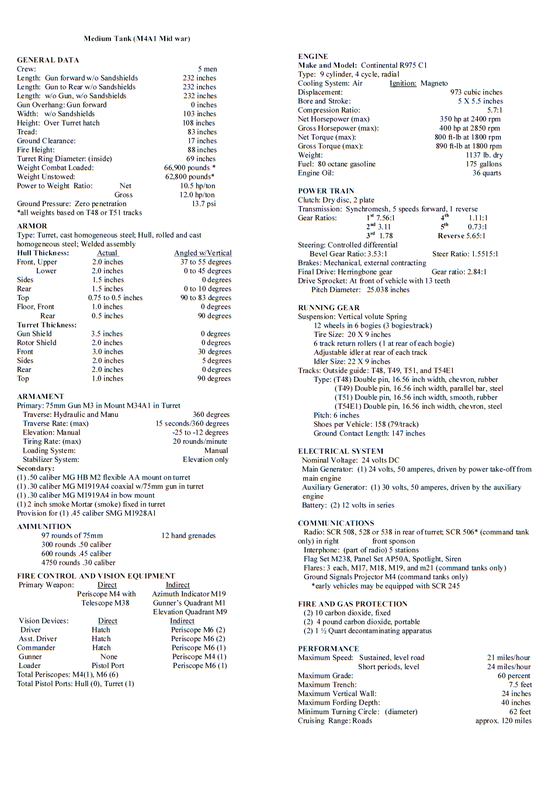 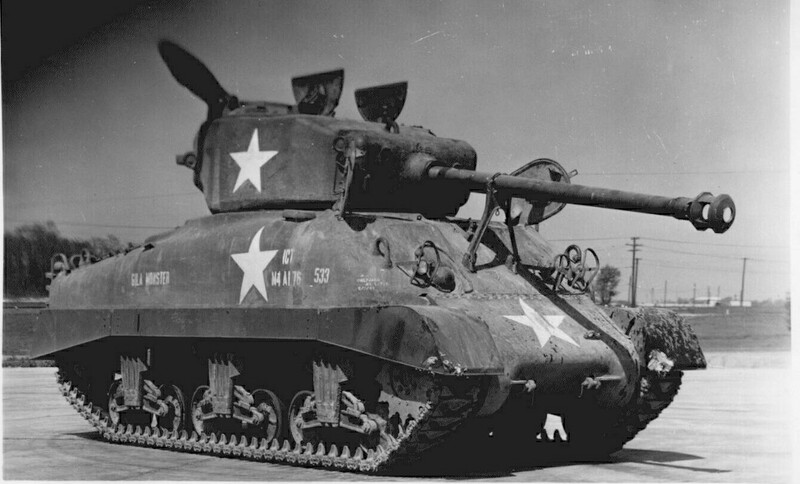 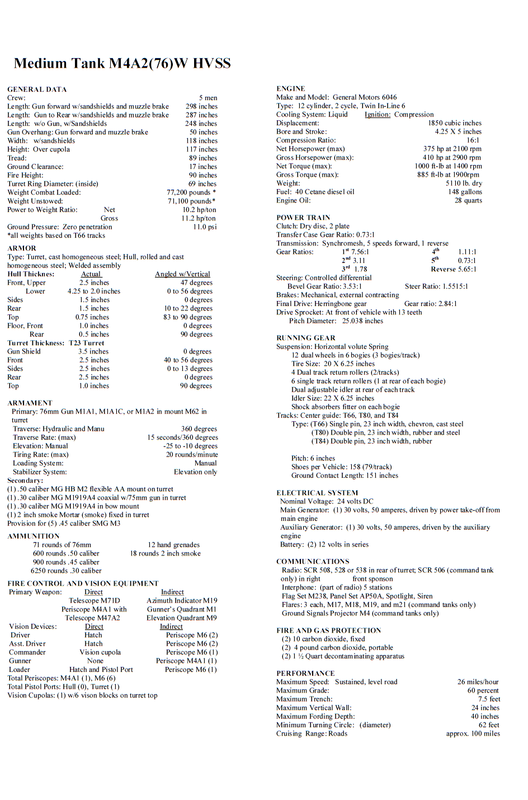 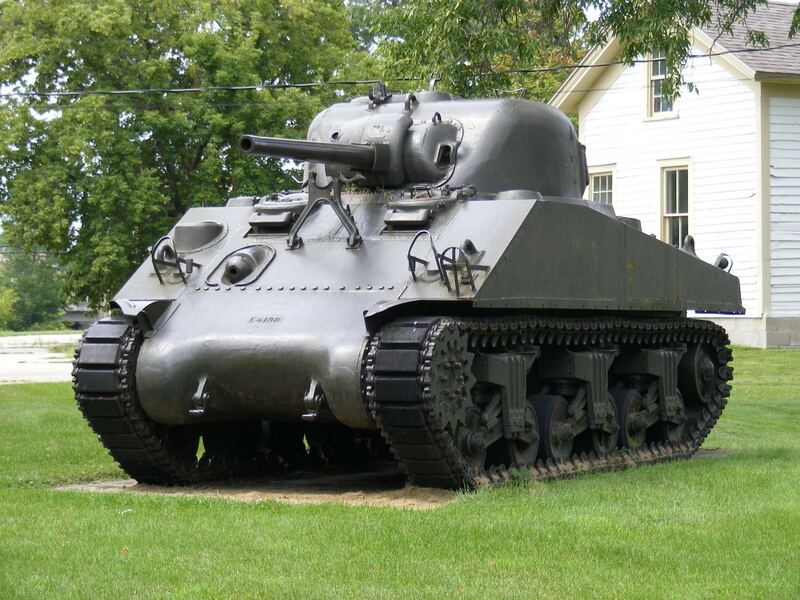 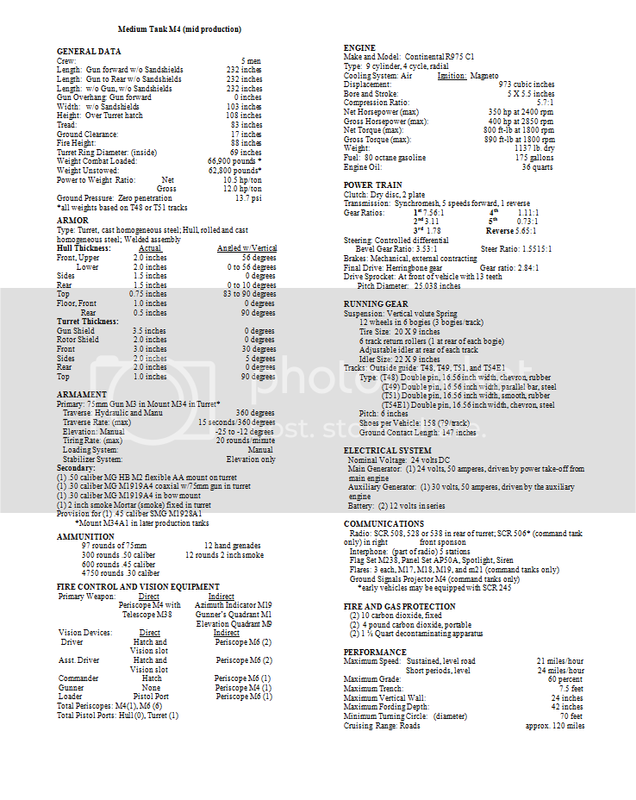 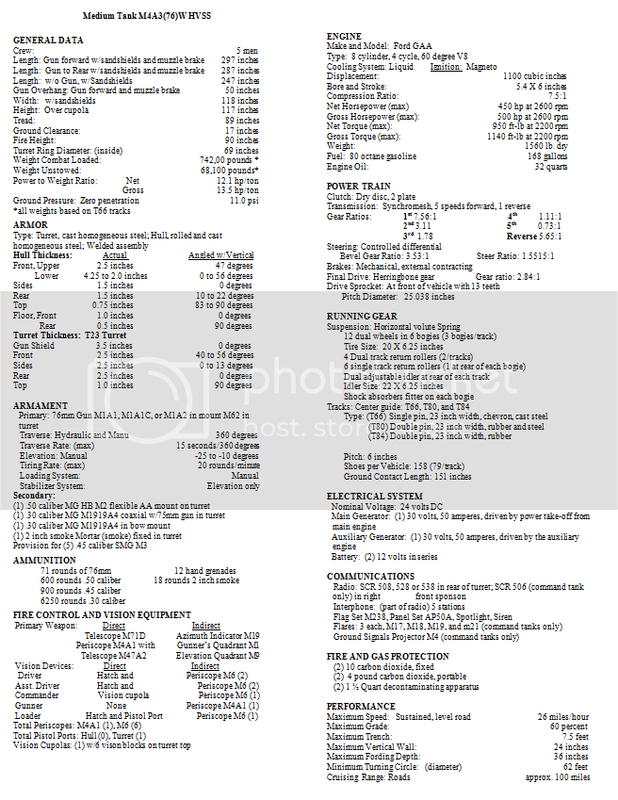 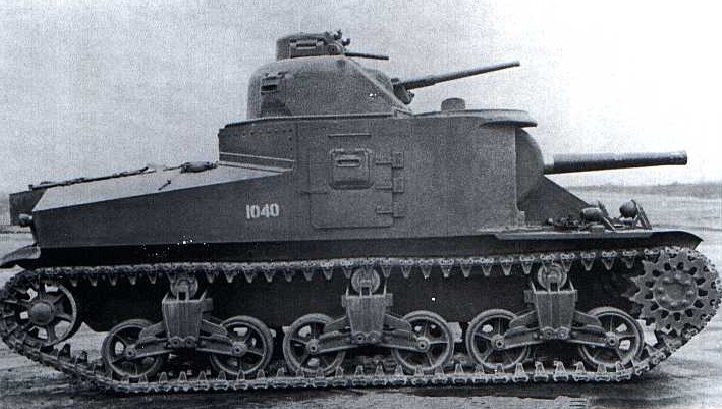 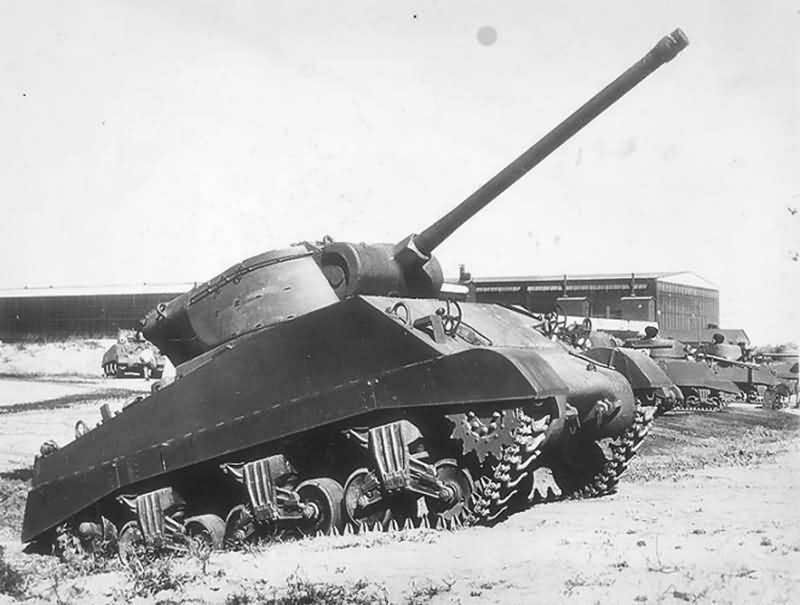 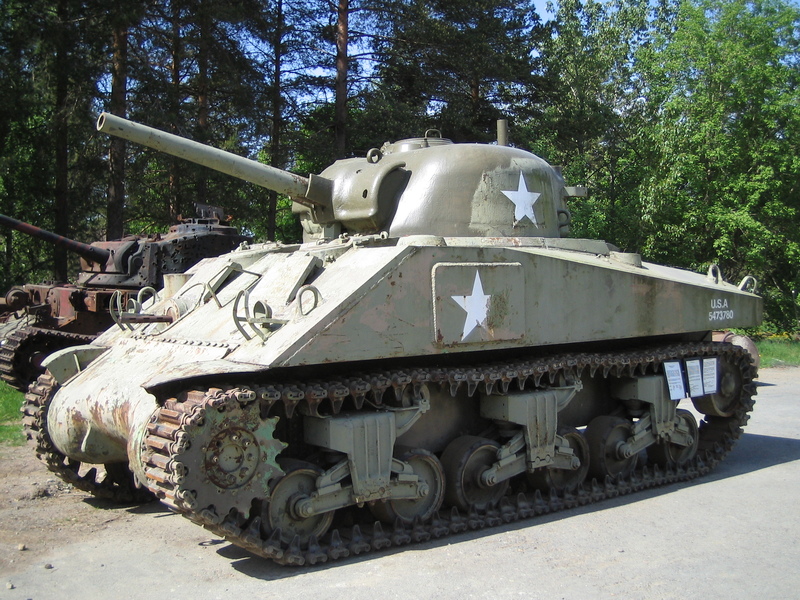 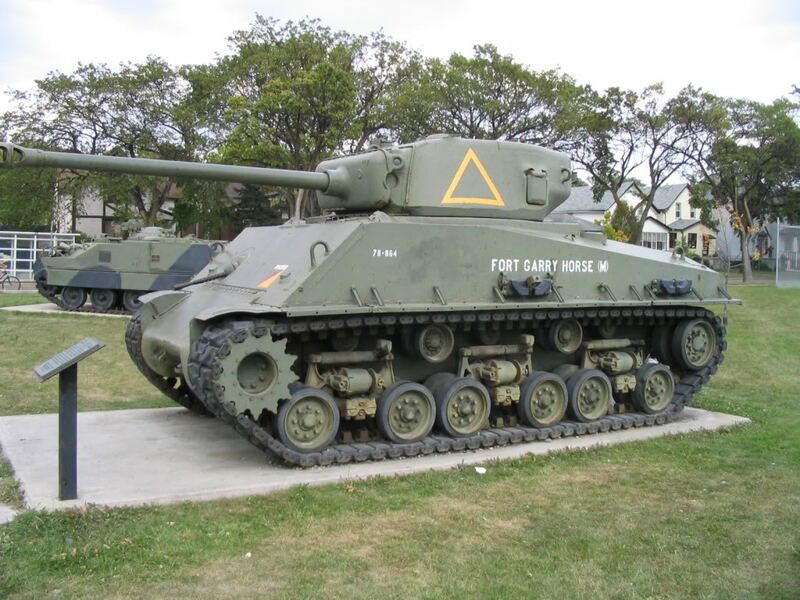 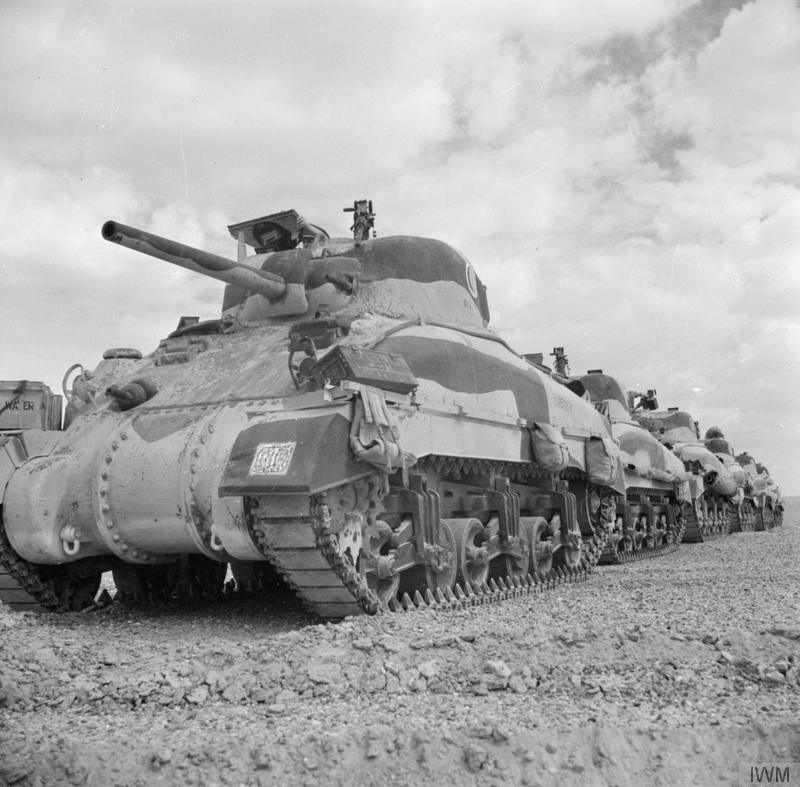 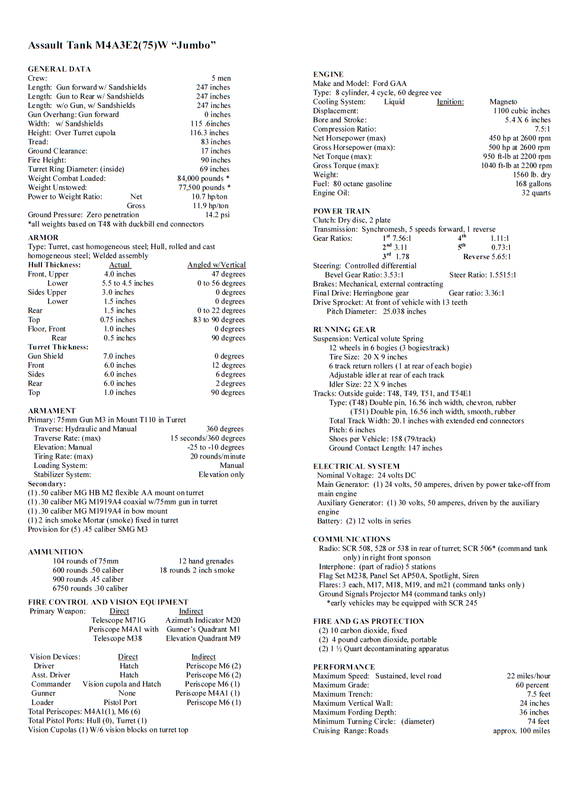 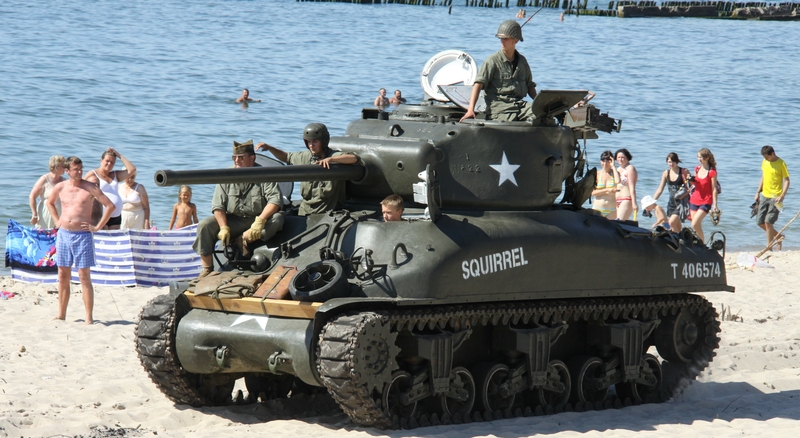 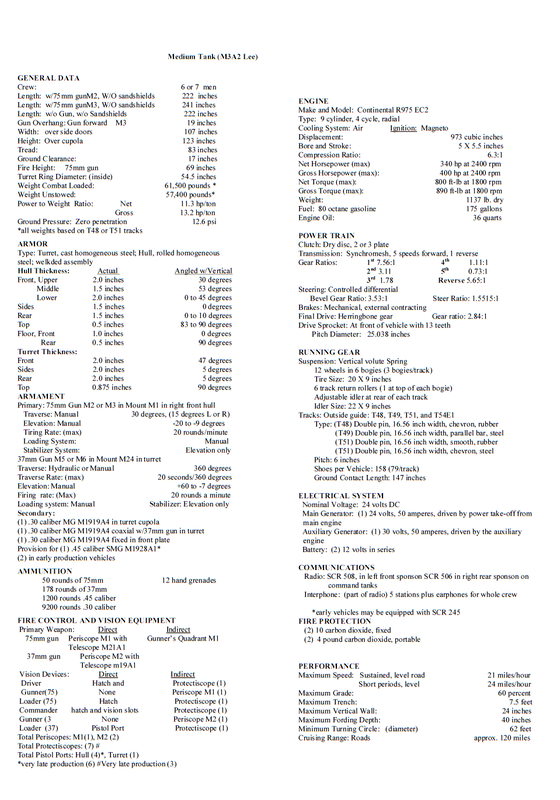 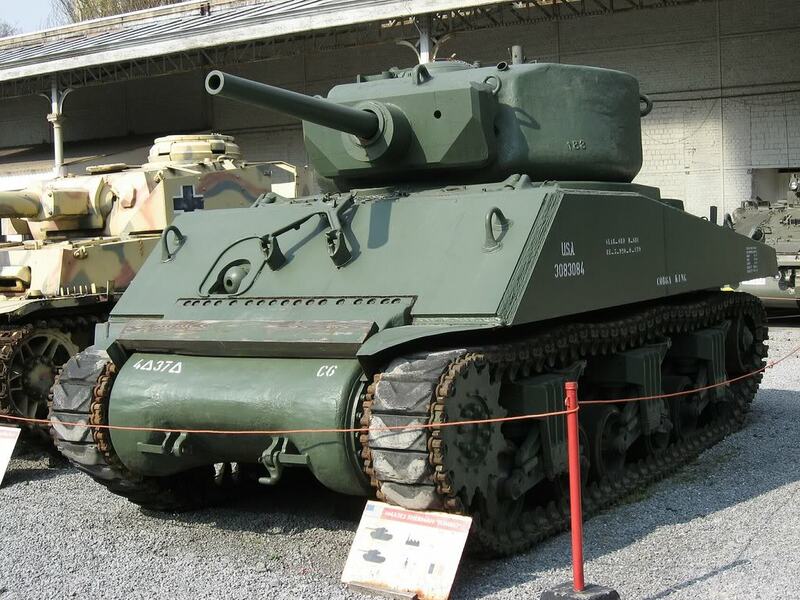 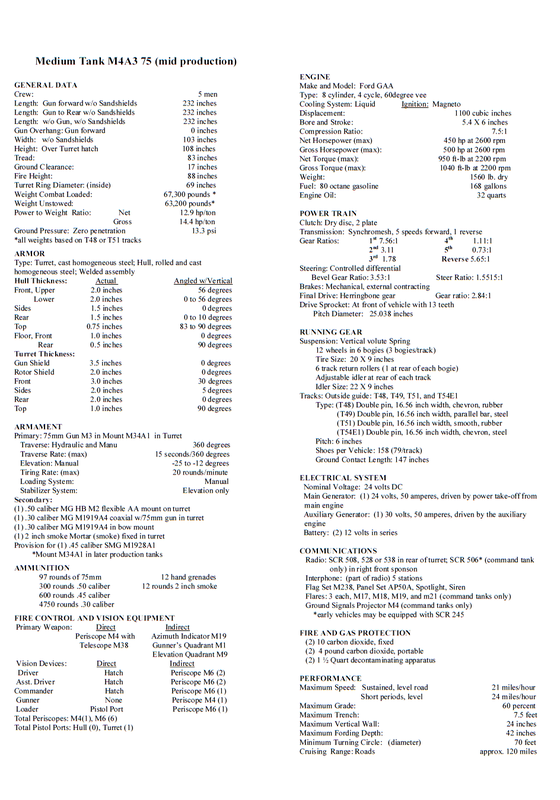 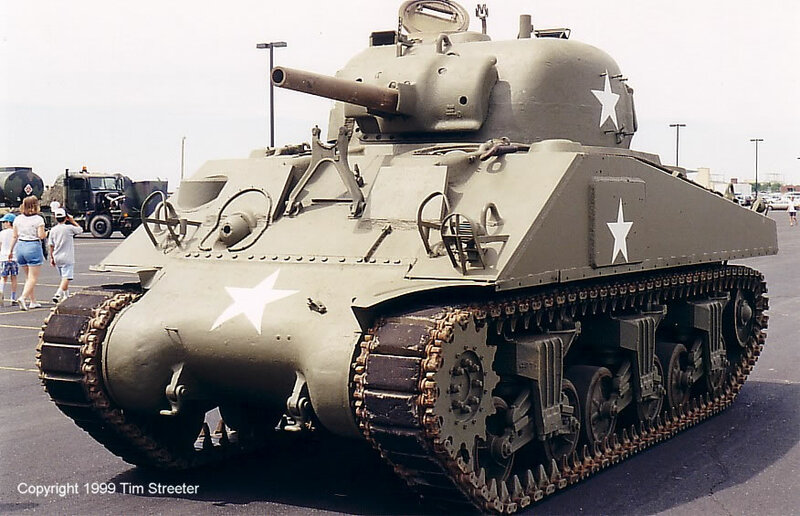 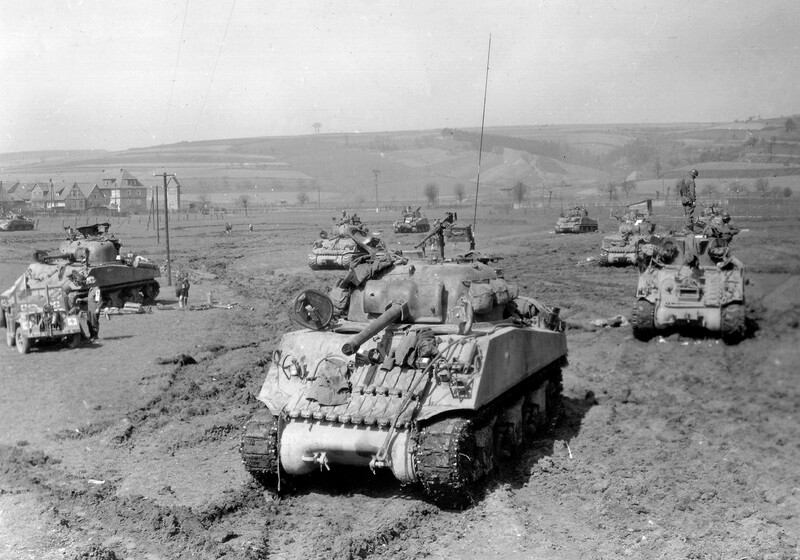 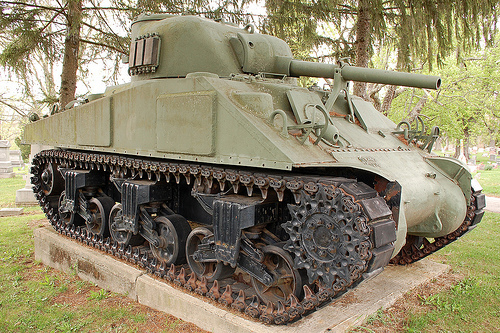 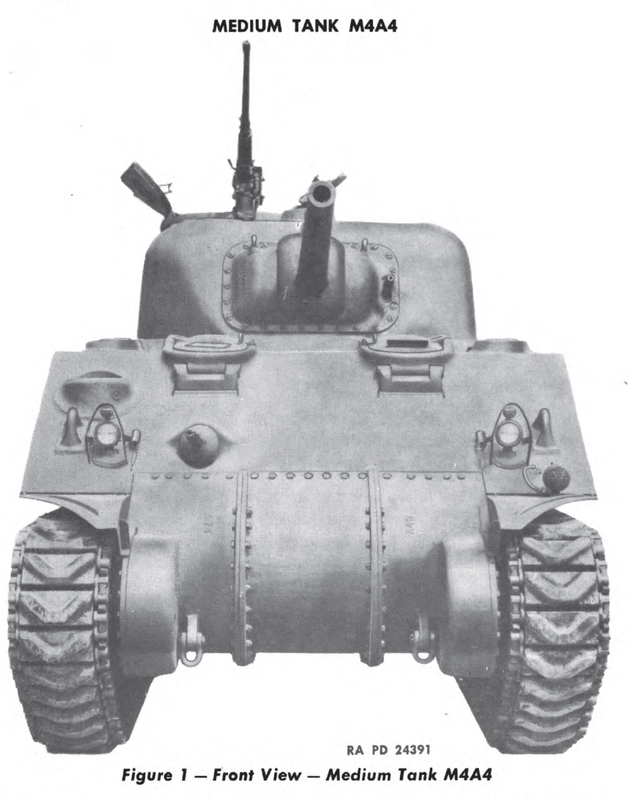 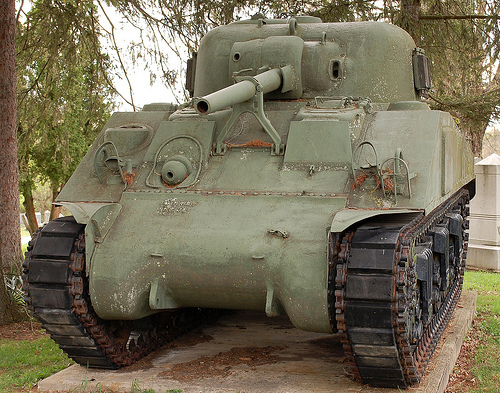 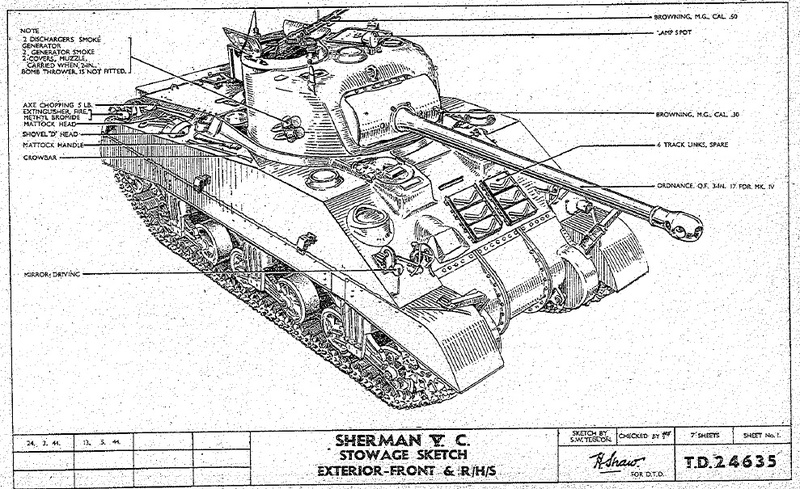 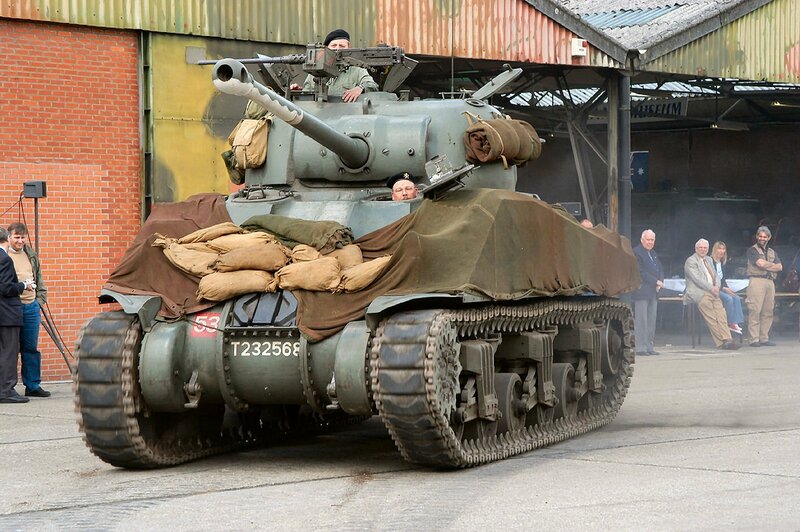 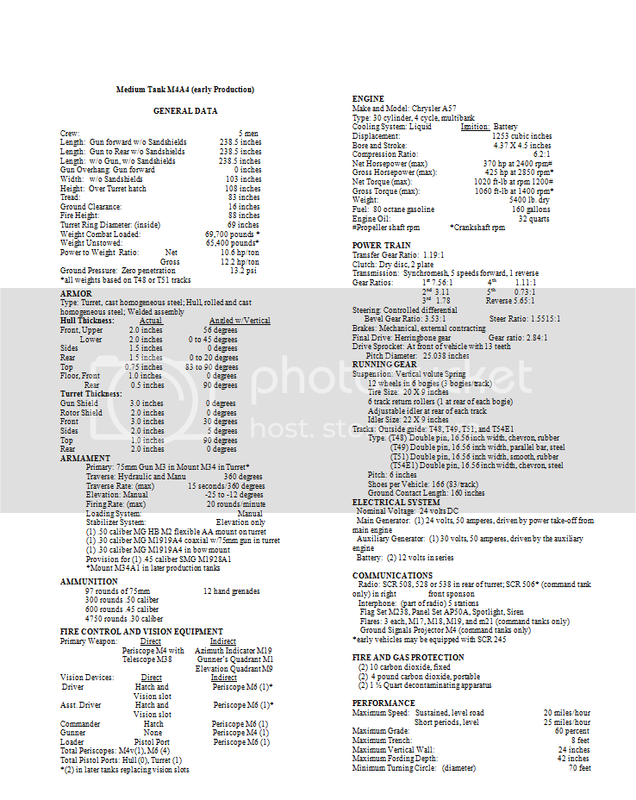 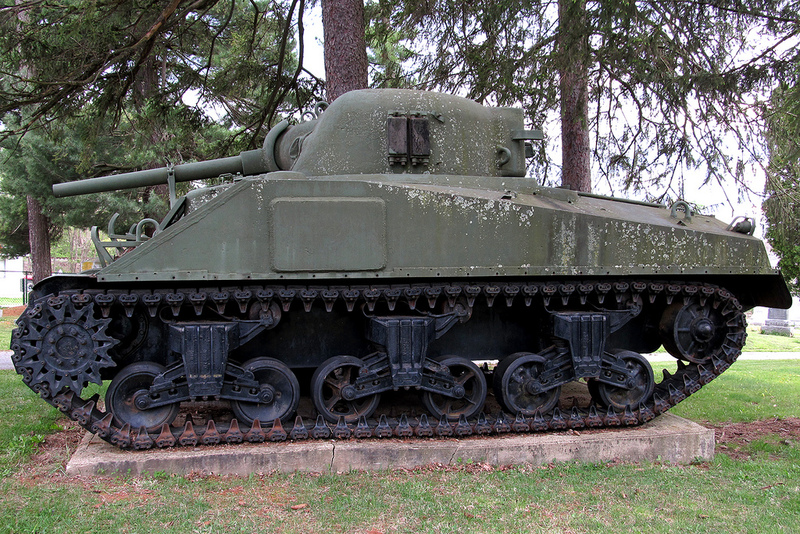 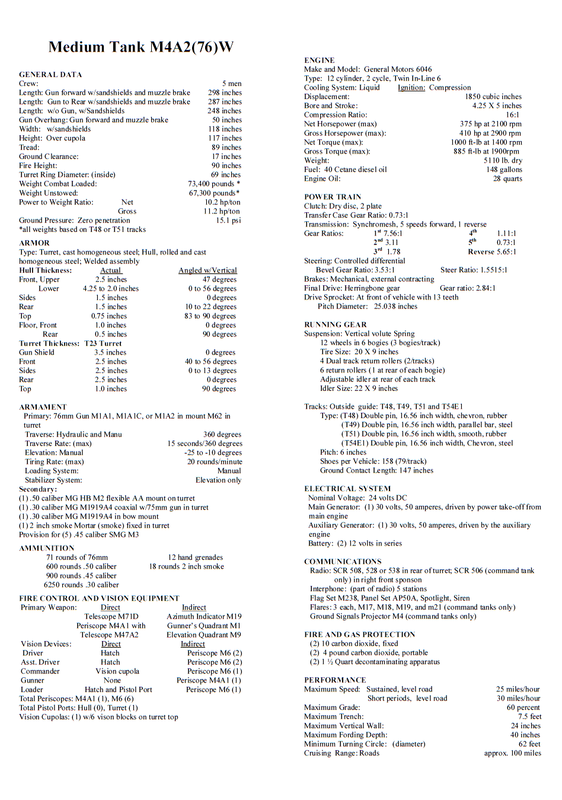 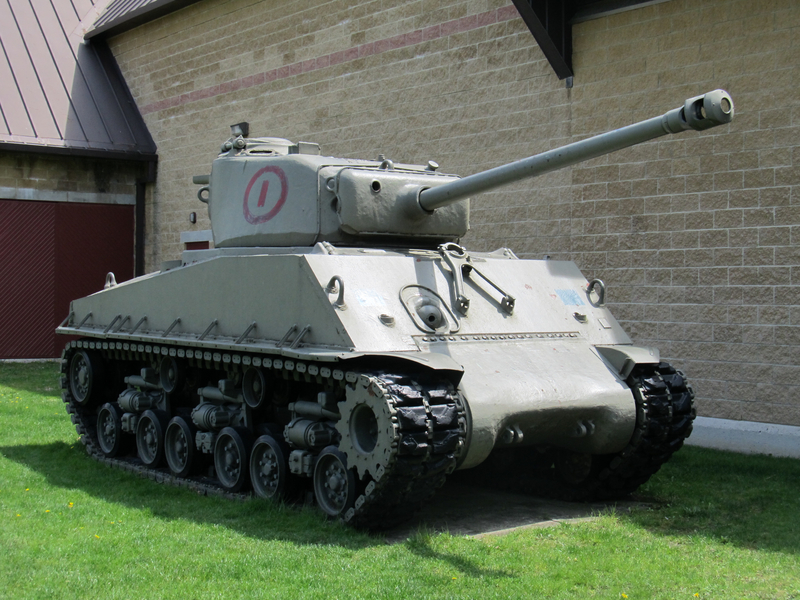 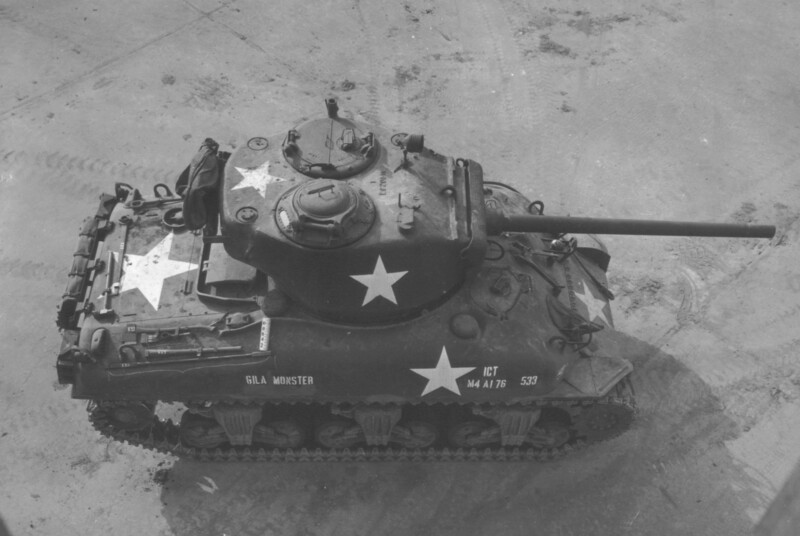 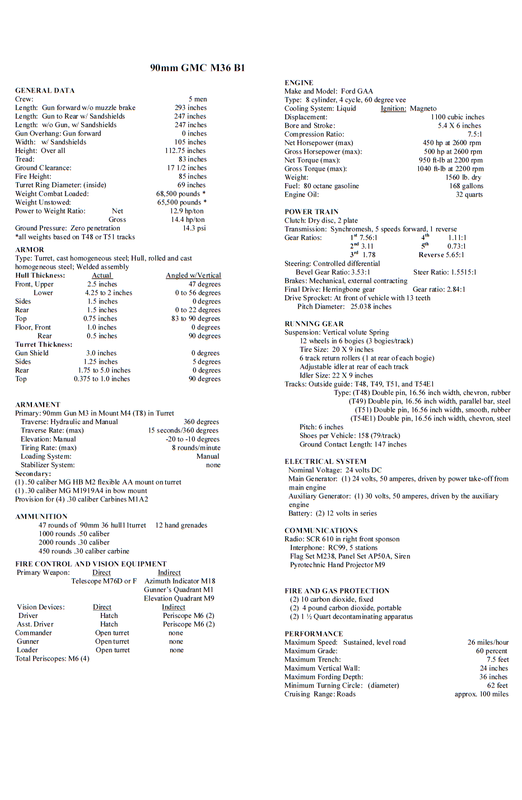 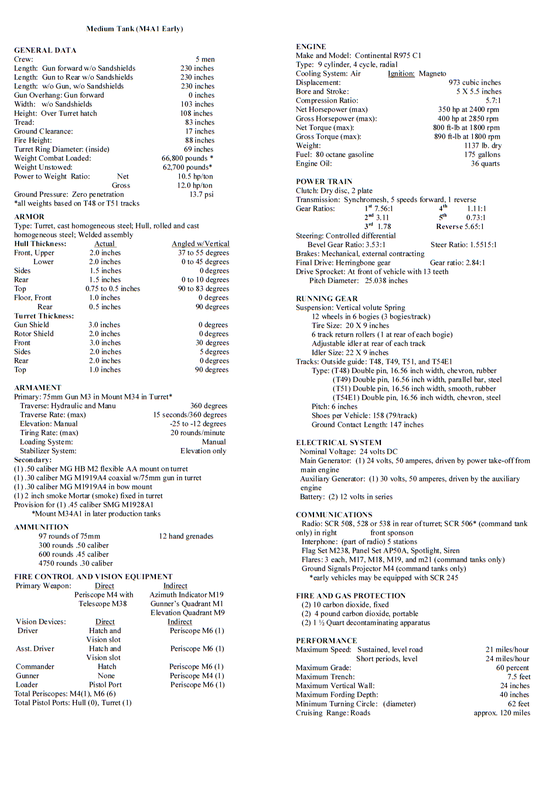 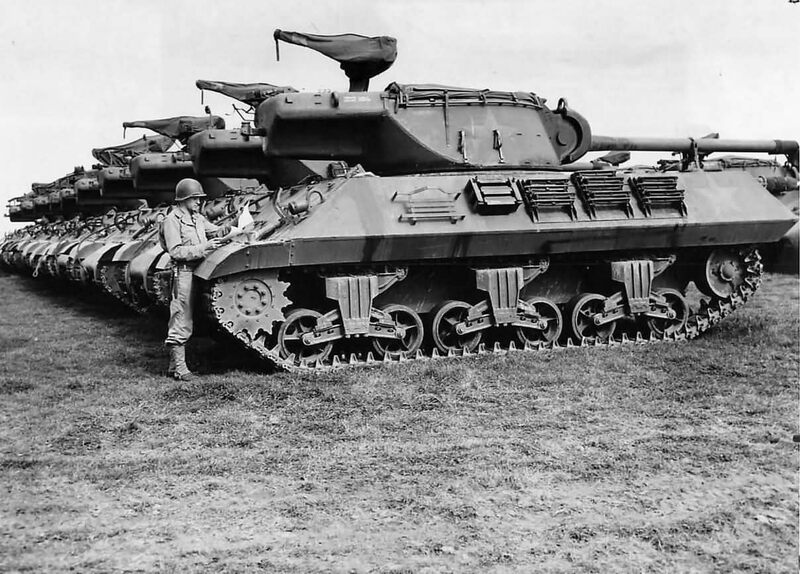 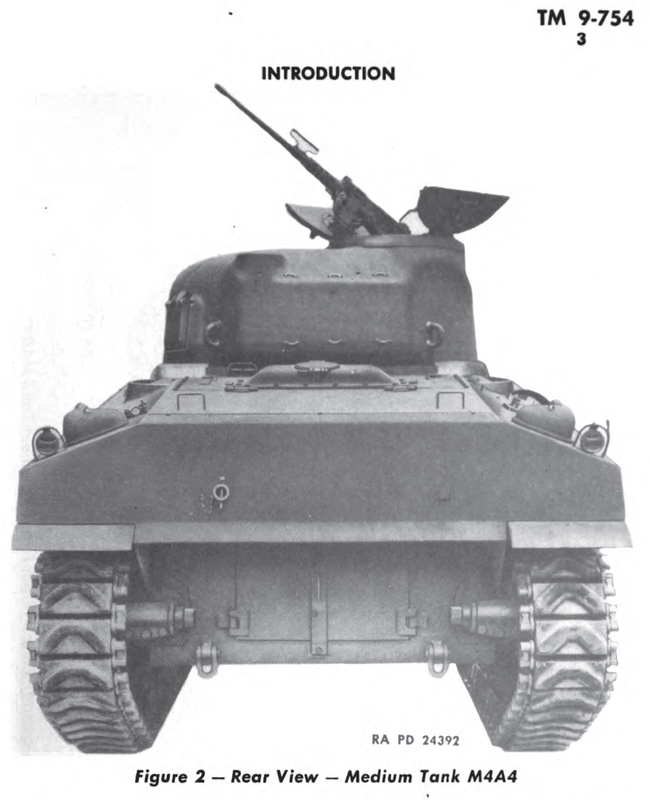 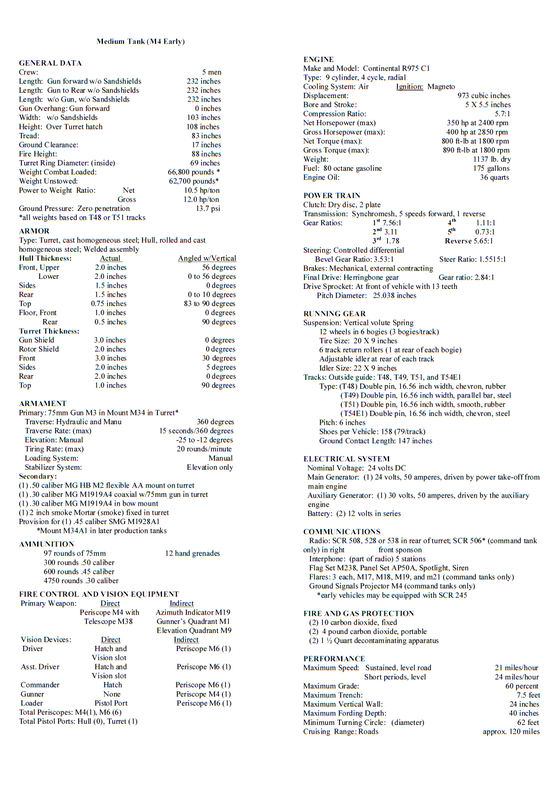 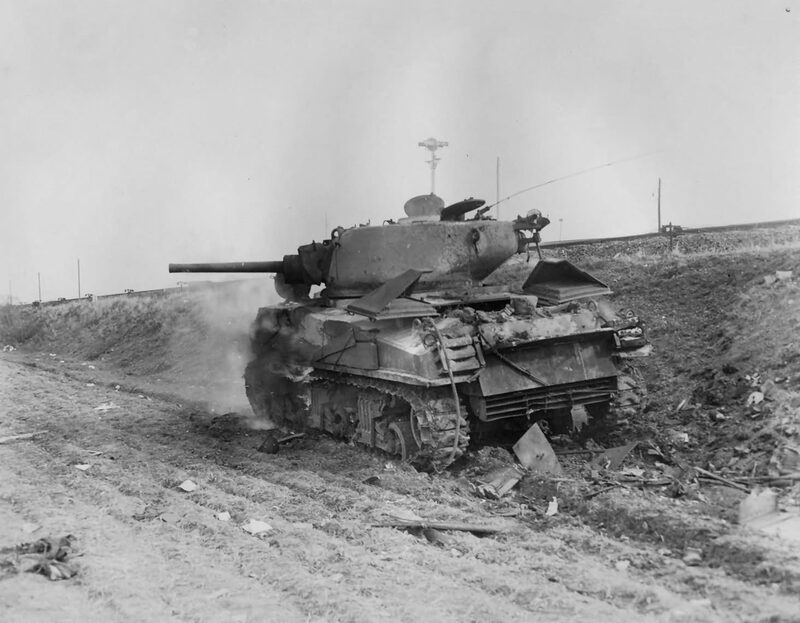 Sherman Model Specification Sheets: Detailed Data Sheets For Each Model. 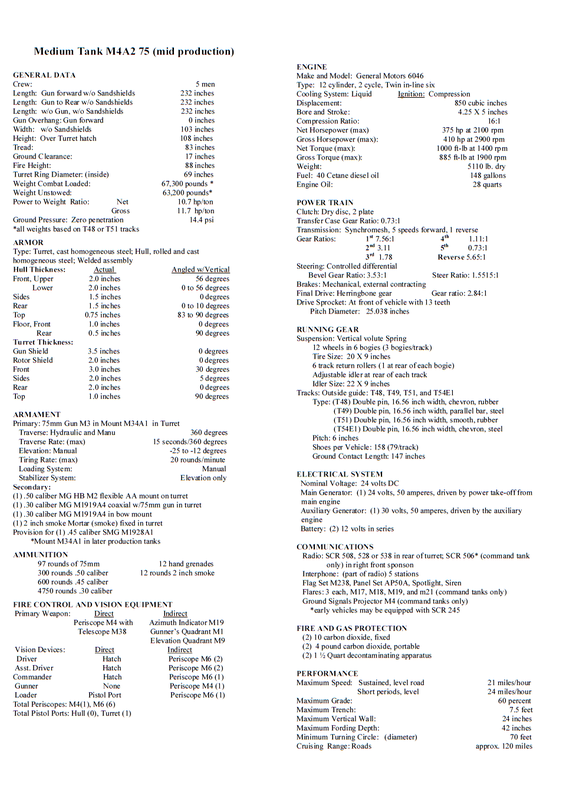 These were a pain in the rear to make, the ones in the back of my copy of Hunnicutt are very bad, so I have reproduced some in Word, and then print them out as PDFs, then take a screen shot of the PDF for this post. 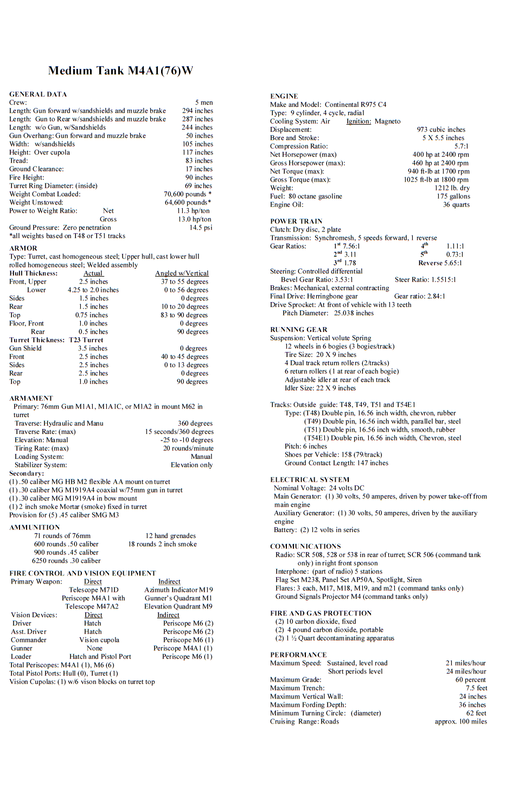 I have now hosted all the PDF files, if you want something with copy and pasteable text. 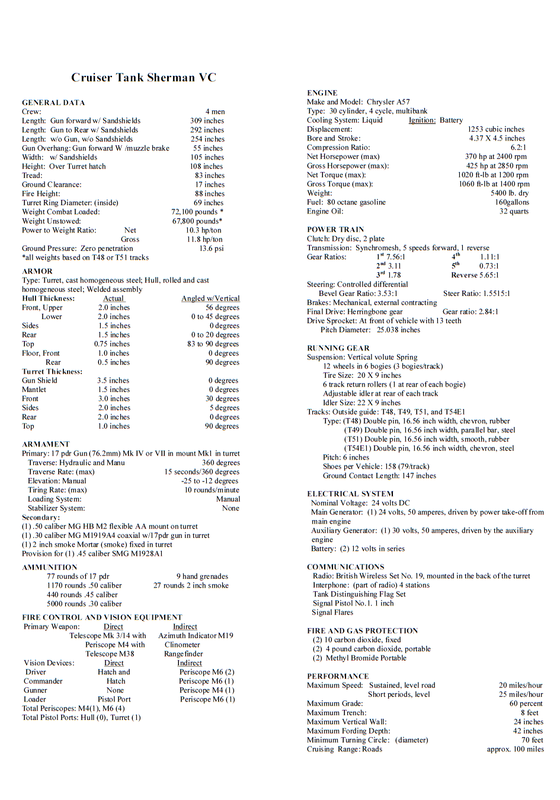 I’ve got a system not for these and it’s semi easy to do, so I will keep adding them. 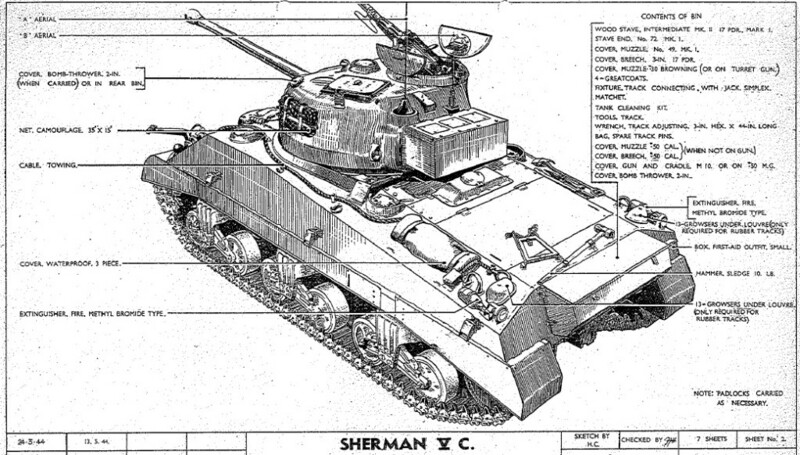 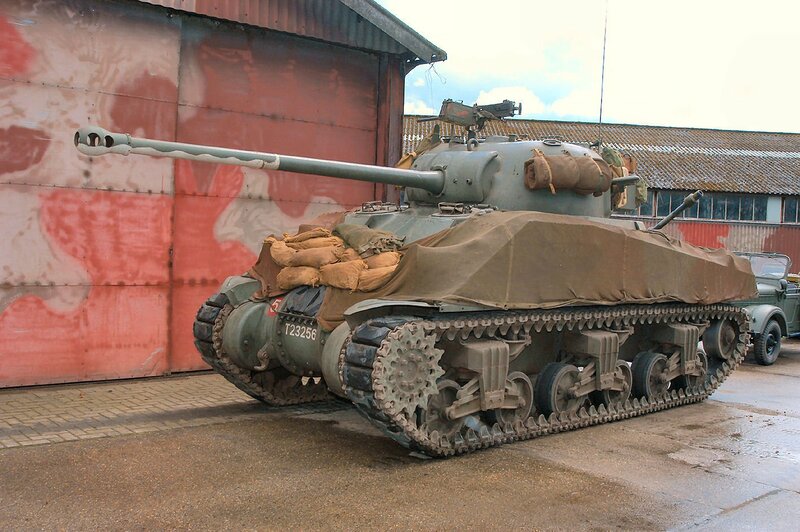 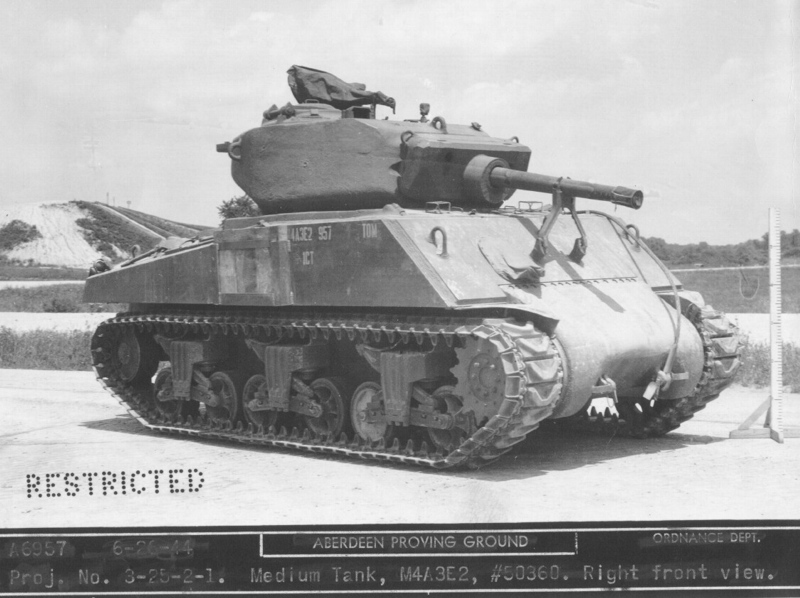 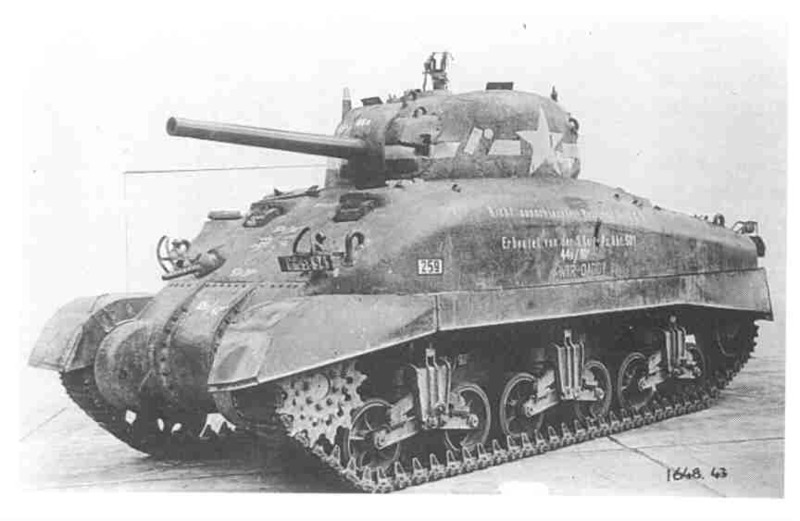 I also added at least one, and up to five images with each spec sheet, of the Sherman the spec sheet is for. 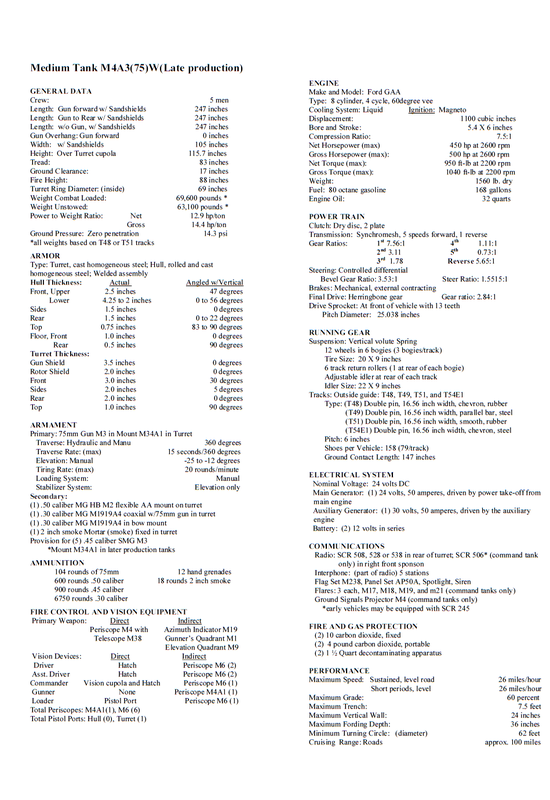 You can click to enlarge all these images, the sizes very. 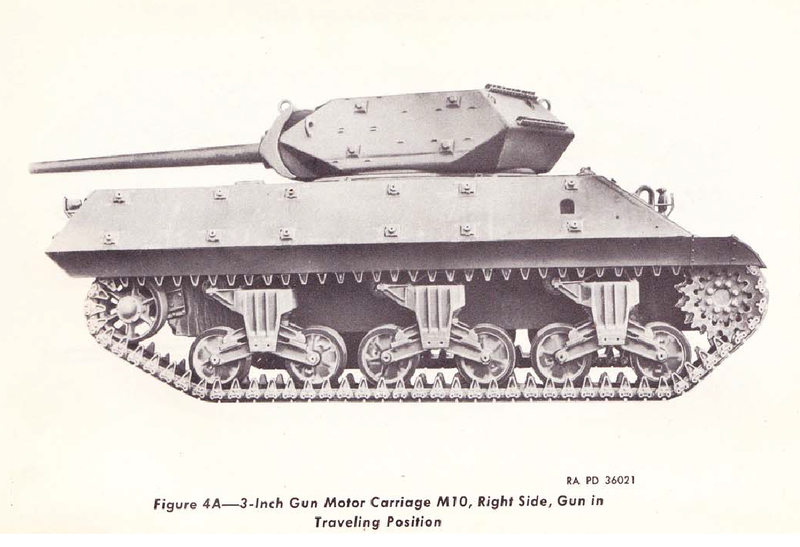 Even in 1943, most German armored fighting vehicles (later models of the Panzer IV, StuG III, and Marder III ) mounted the 7.5 cm KwK 40. 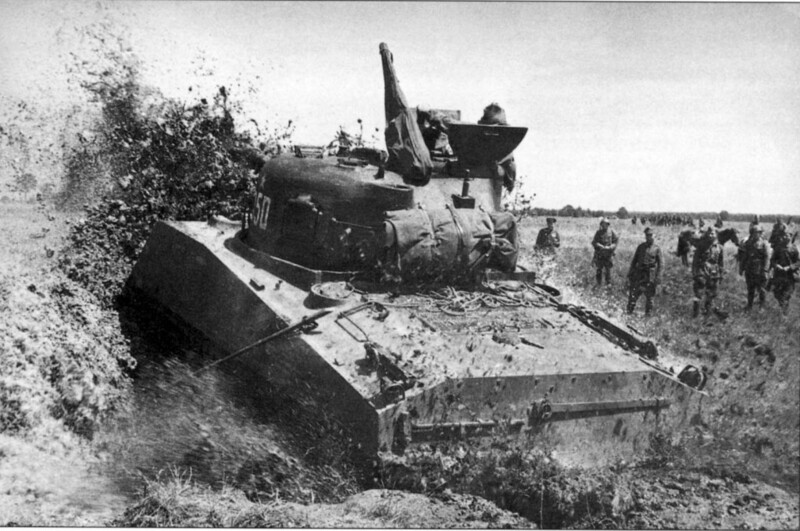 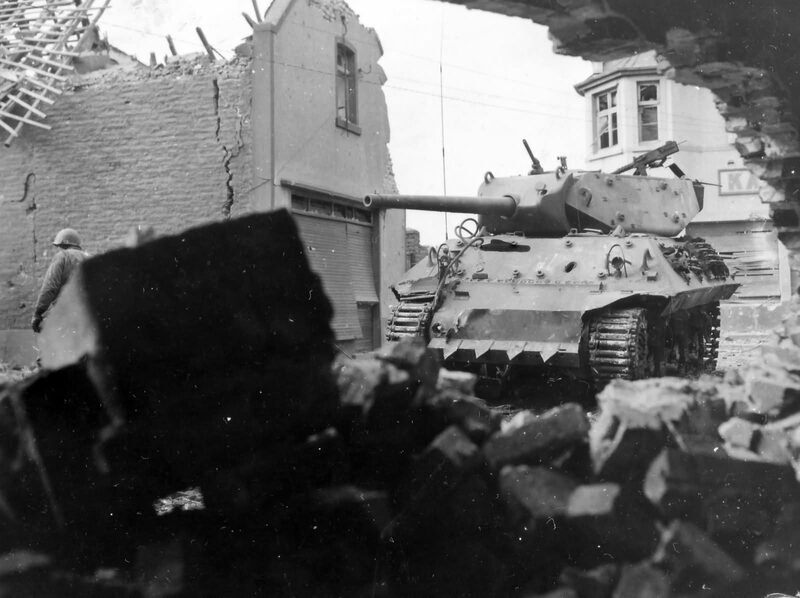 As a result, even weakly armored light German tank destroyers such as the Marder III, which was meant to be a stop-gap measure to fight Soviet tanks in 1942, could destroy Shermans from a distance. 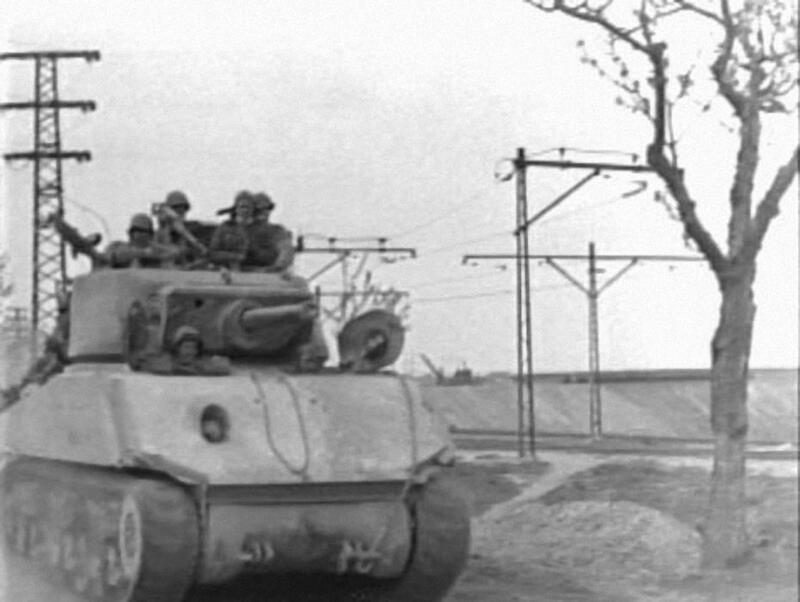 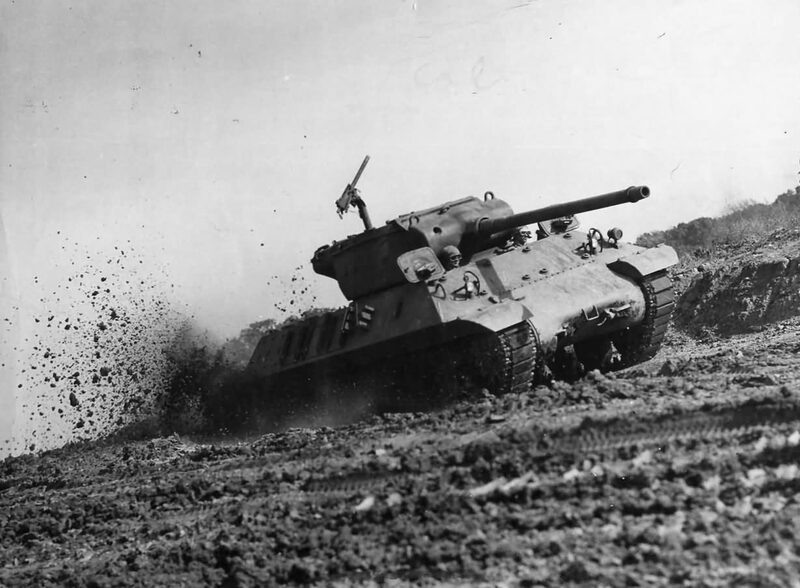 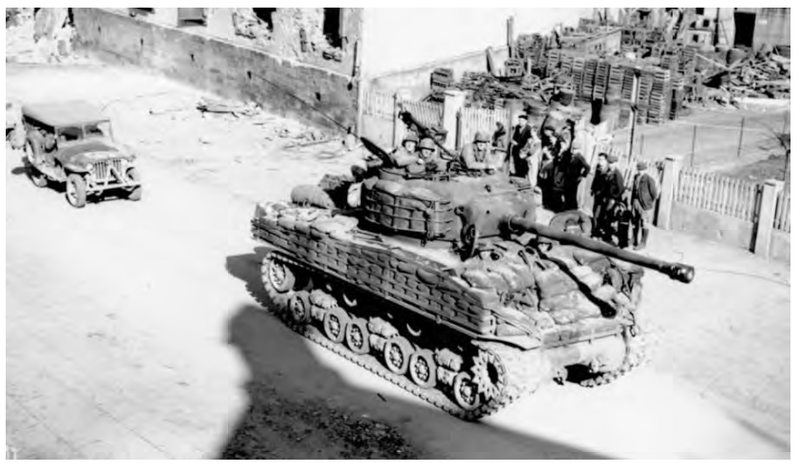 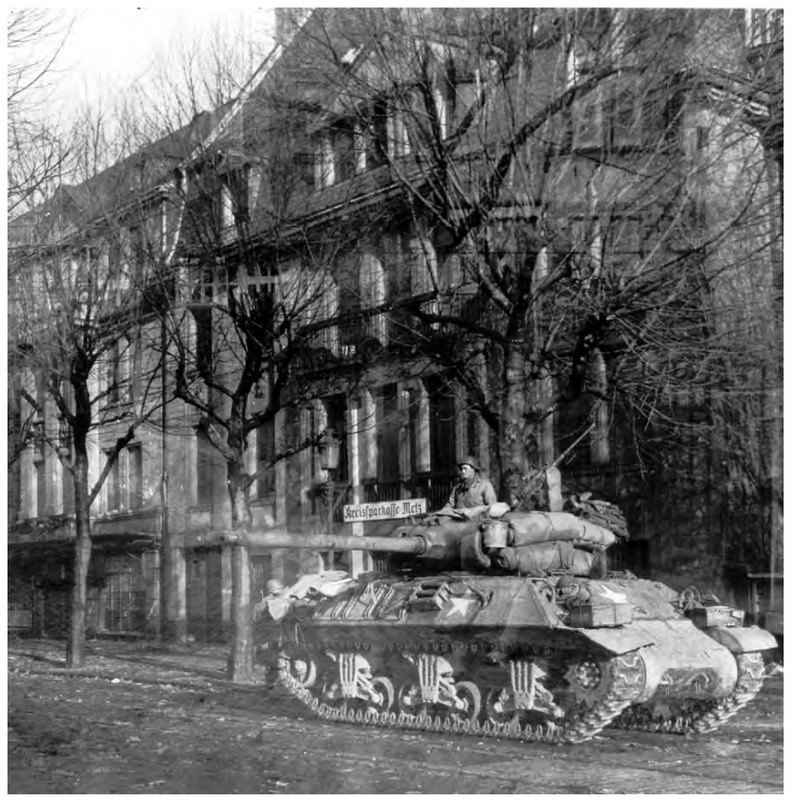 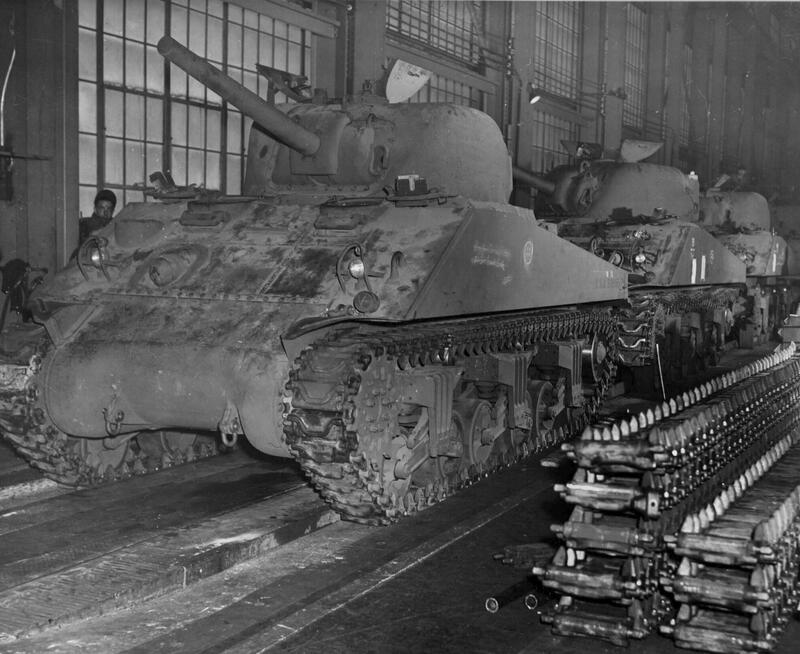 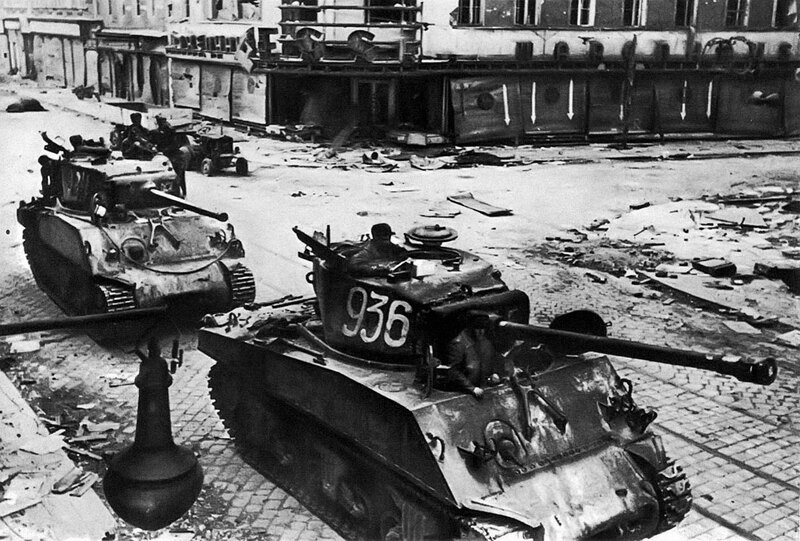 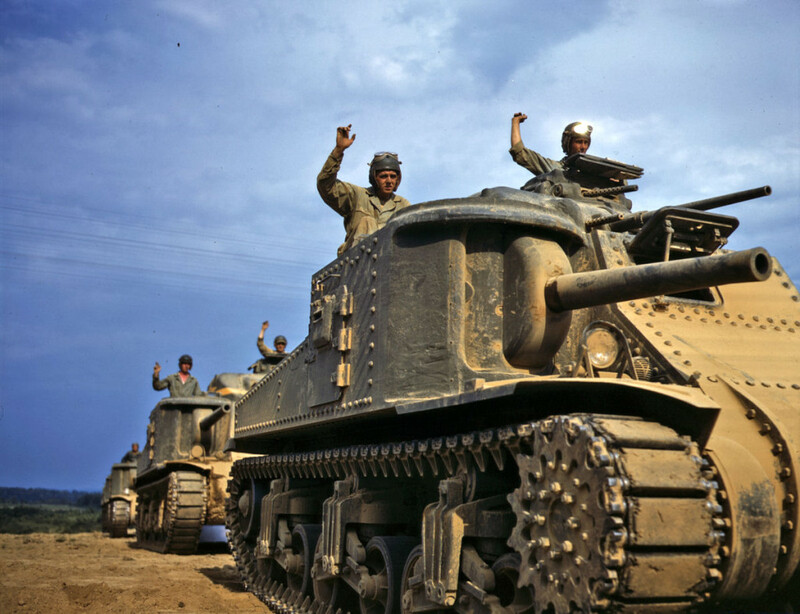 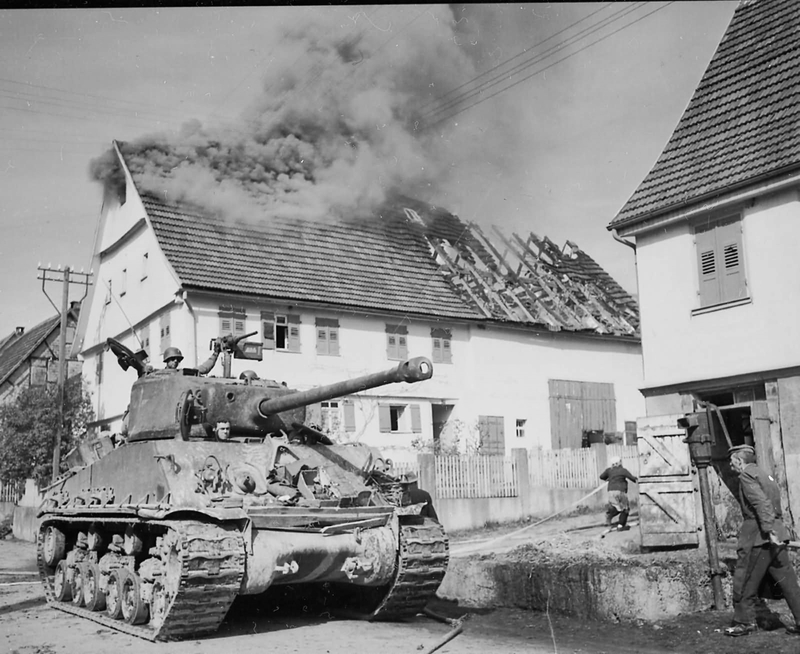 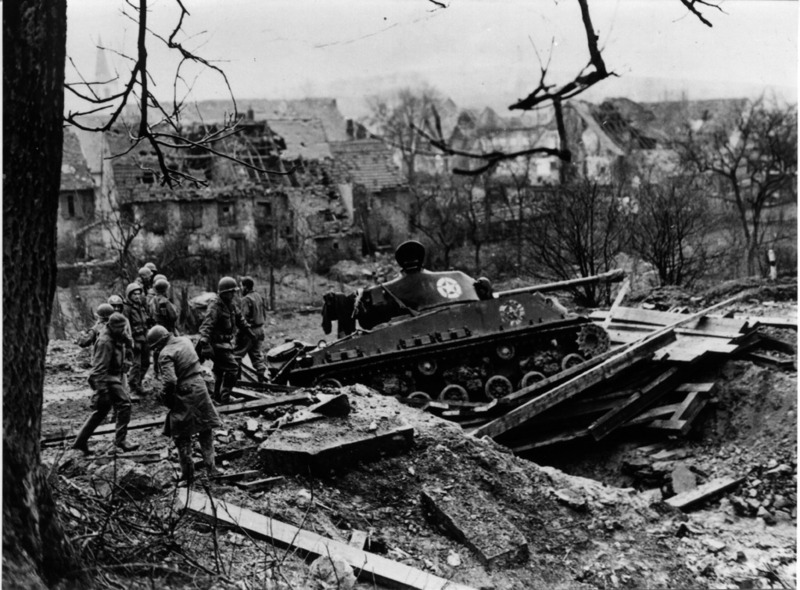 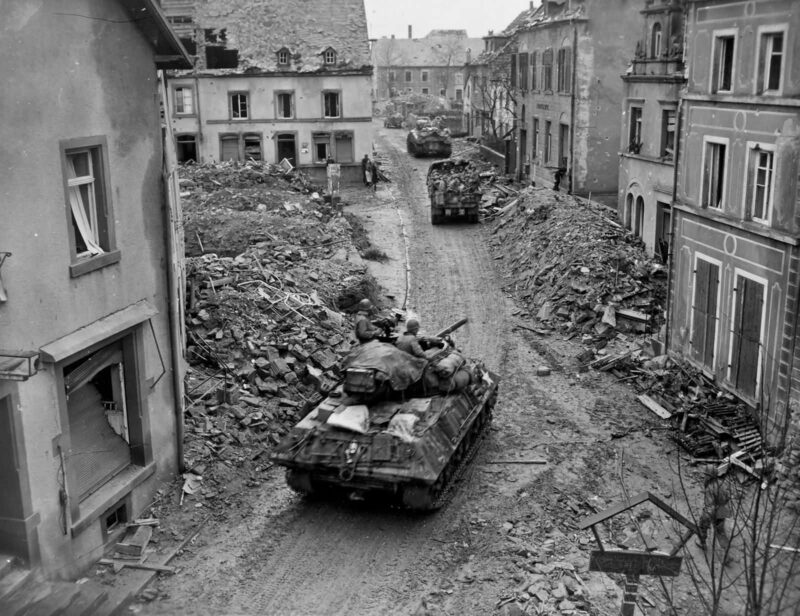 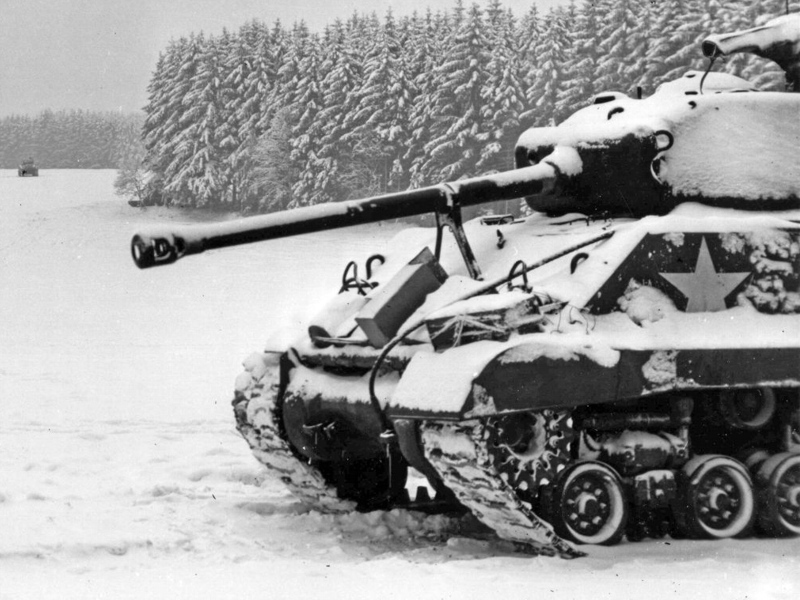 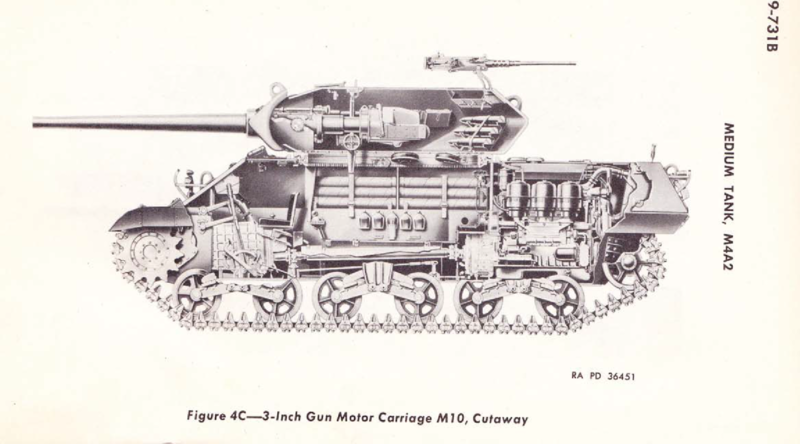 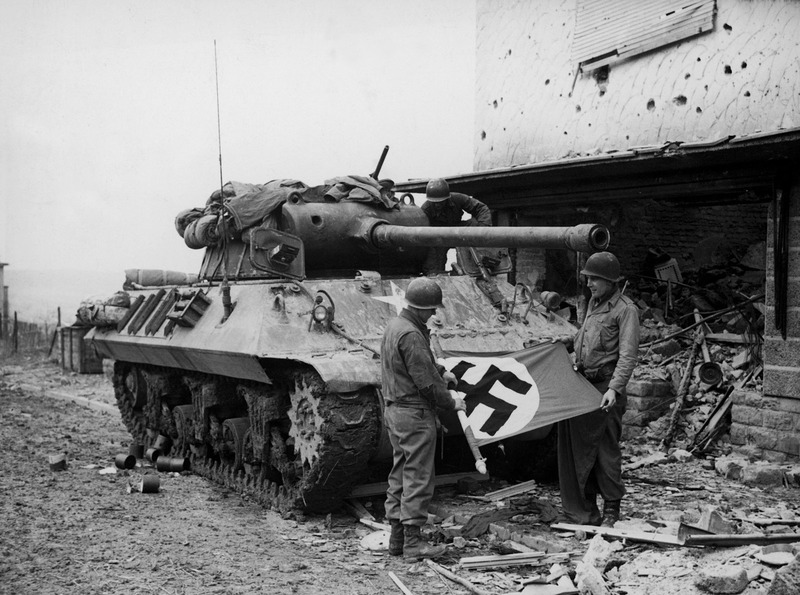 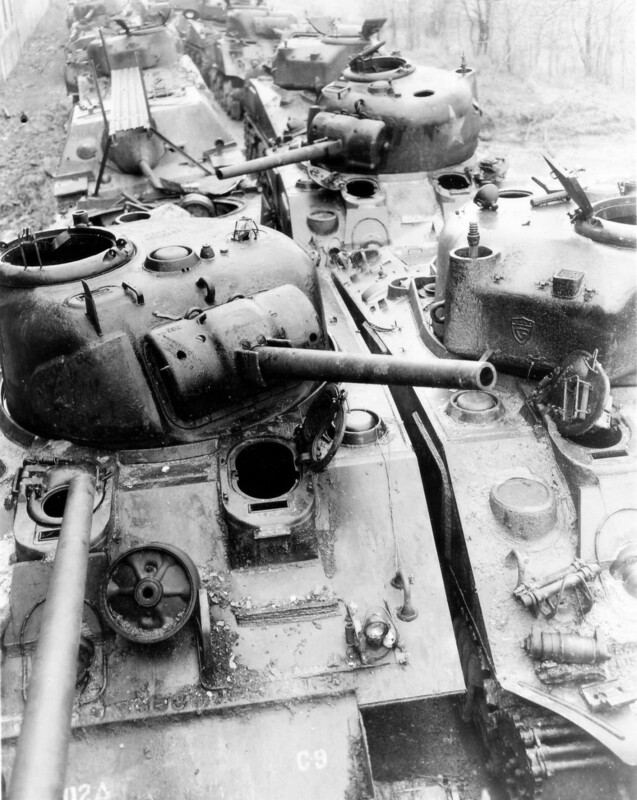 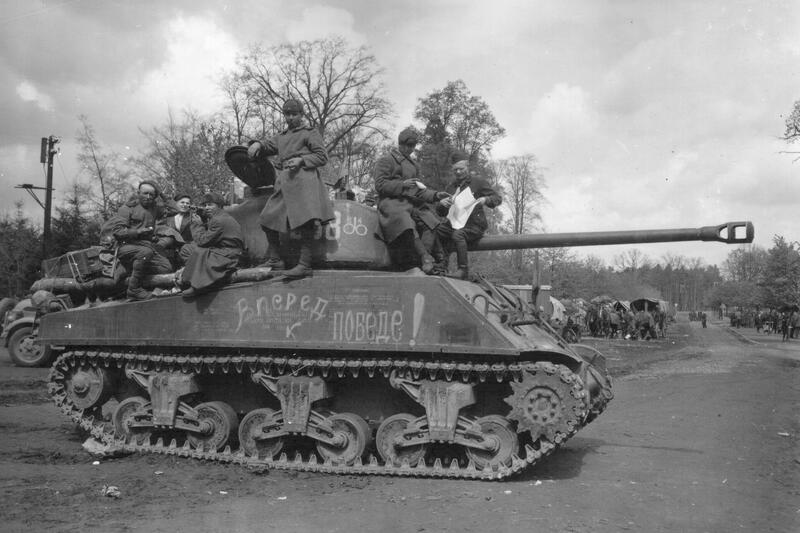 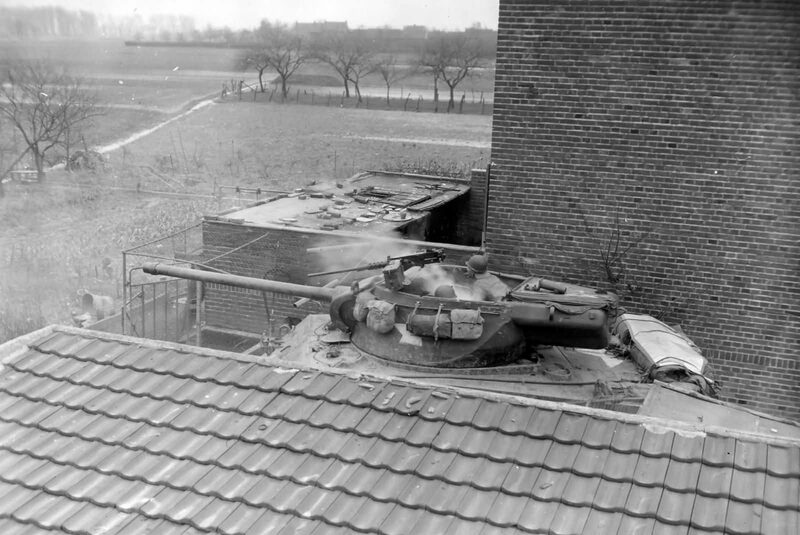 The disparity in firepower between the German armored fighting vehicles of 1943 and the 75 mm-armed M4 was the impetus to begin production of 76 mm-armed M in January 1944. 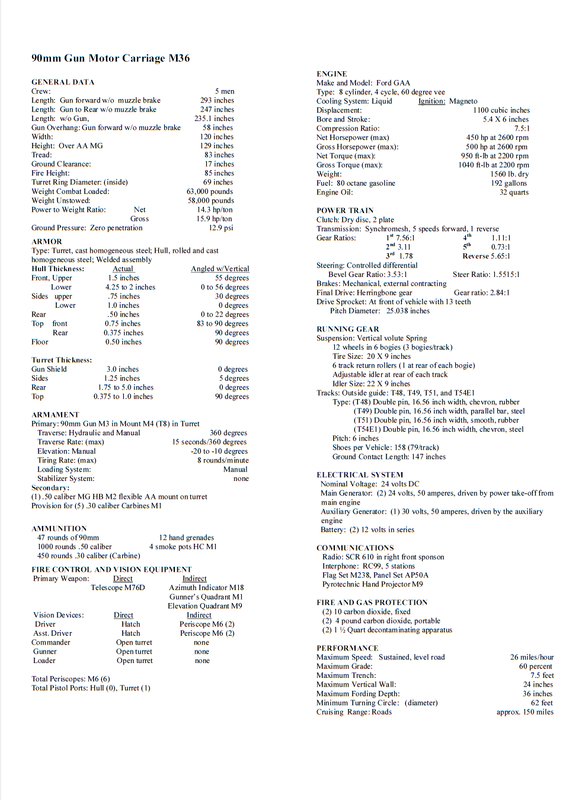 Enjoying these updated spec sheets very much. 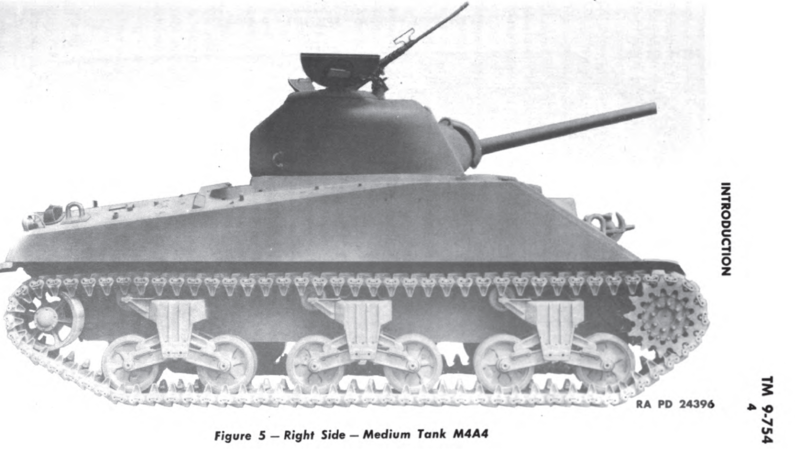 You’re right, massive data! 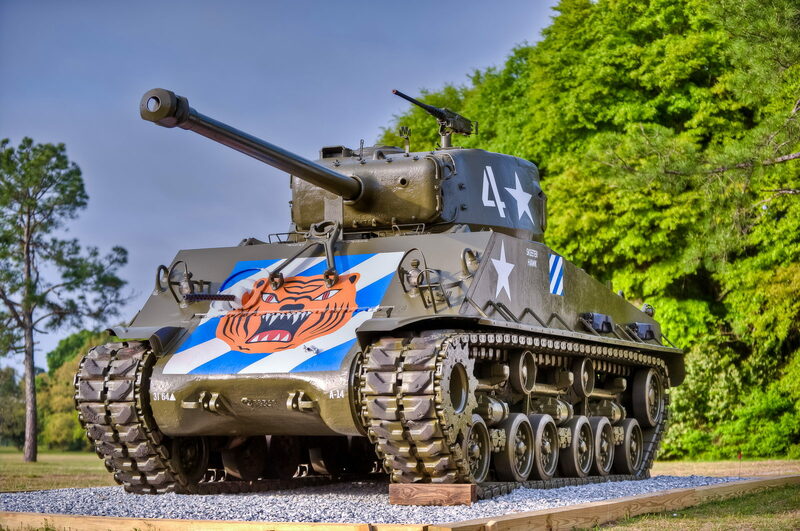 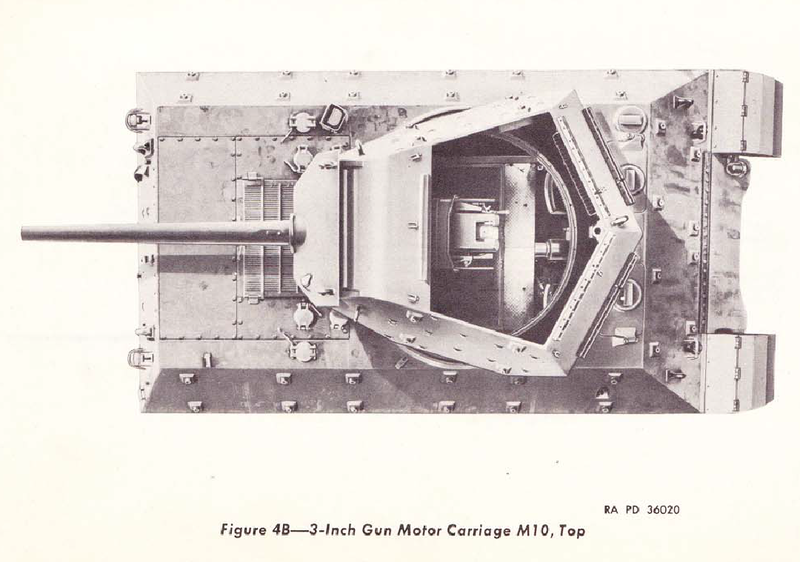 Here’s a random question re one of the photos at the head of the mid production M4A1; do you, or one of your readers know the locale of the tank coming out the front of the LST? 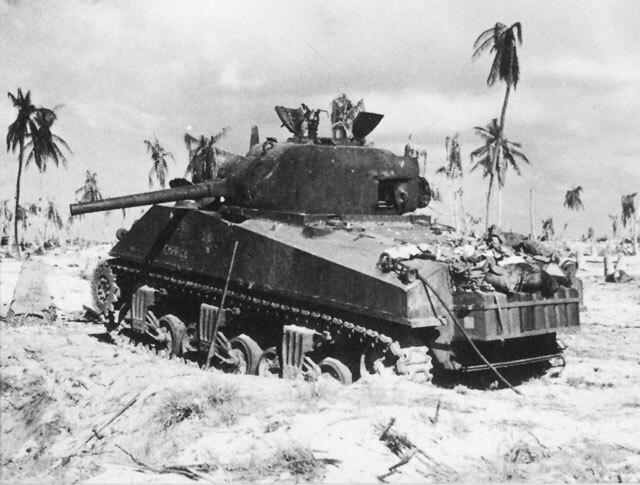 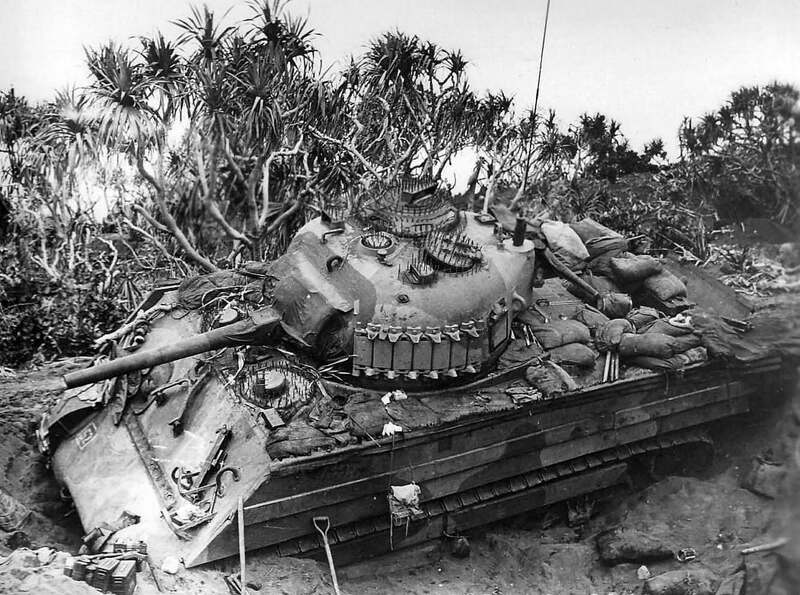 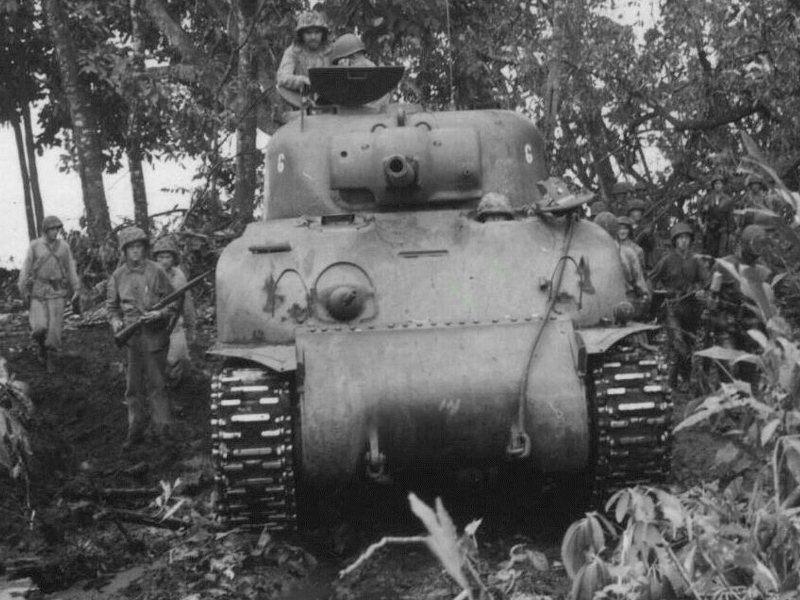 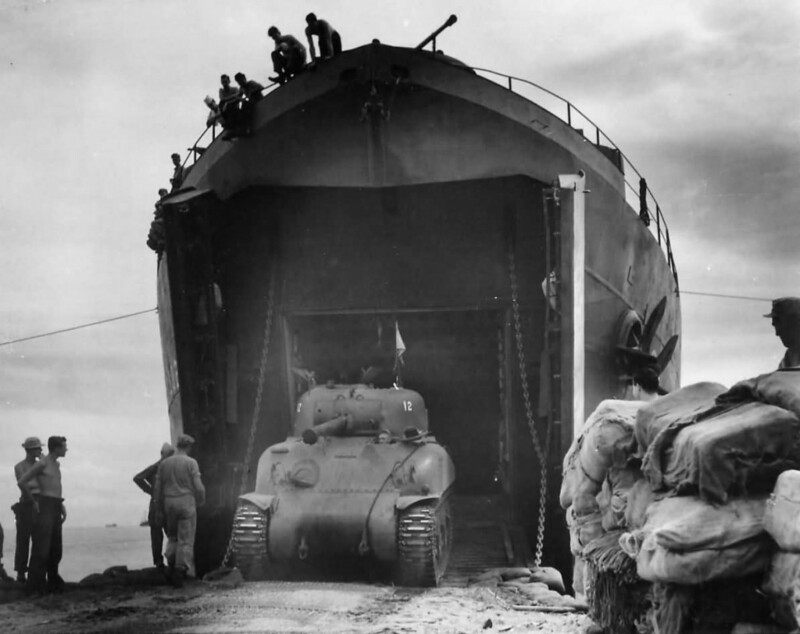 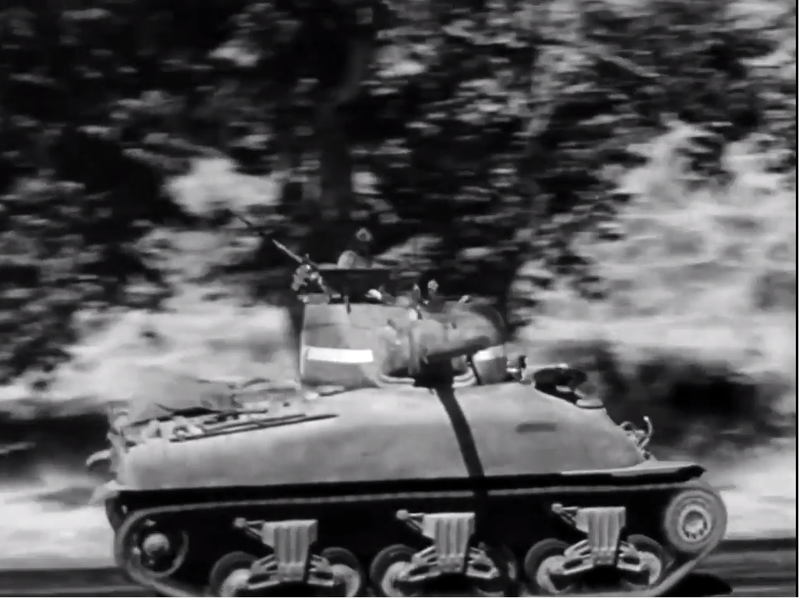 It’s of a 1st Marine Tank Battalion, the only time then Marines used M4A1s, was taken at Cape Gloucester, on New Britain, north east of New Guinea. 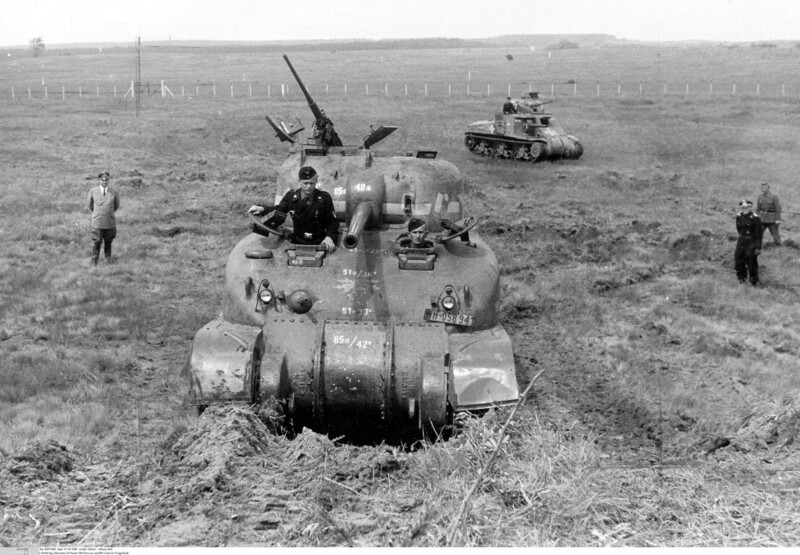 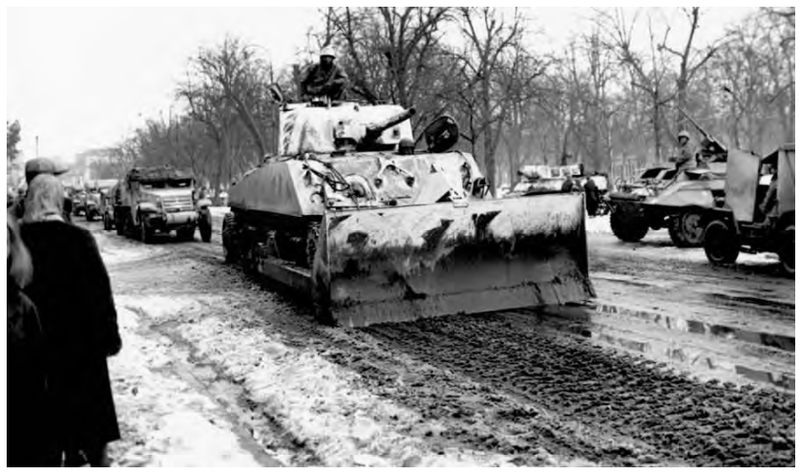 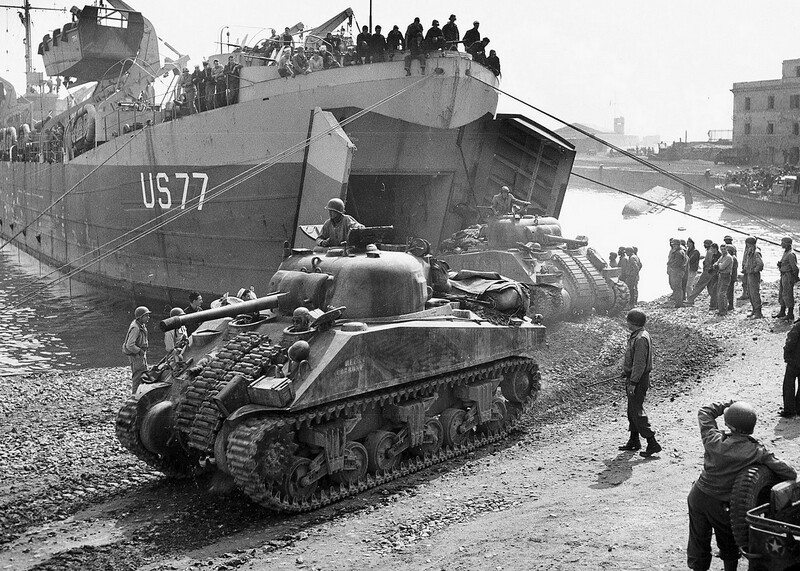 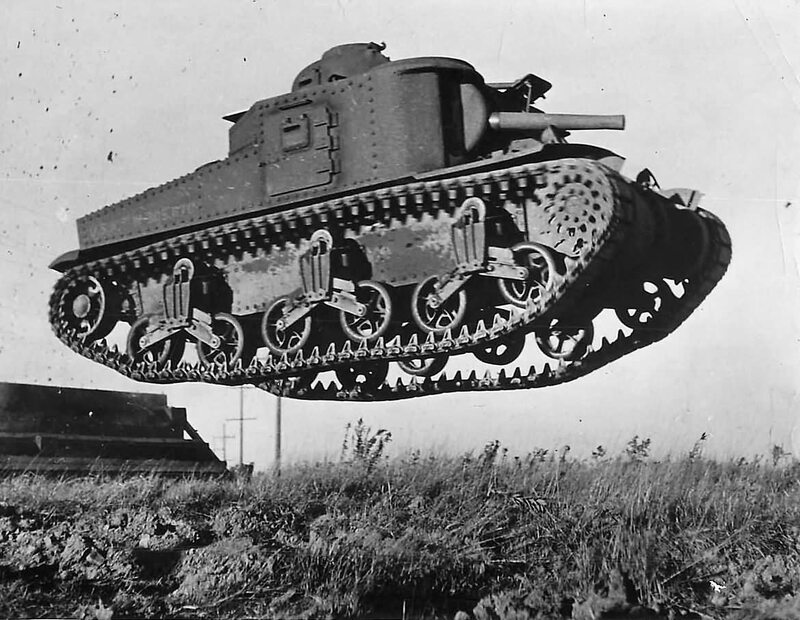 It was not a very good environment for tanks, and in several cases engineers or Seabees had to build a ‘road’ with logs to even get the tanks to the fight. 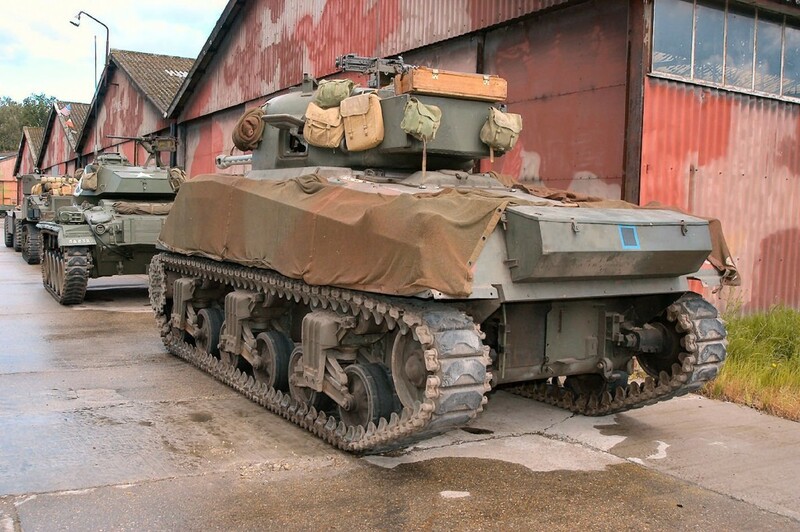 They also used several Shermans on LCT or LCMs and used them for offshore fire support, after they made sure firing the tanks gun wouldn’t hurt the boat!